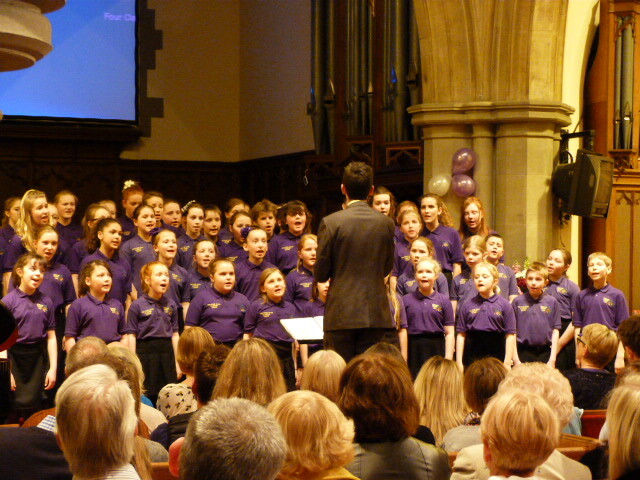 On Saturday 30th March, our Junior Voices were guests at a concert with B Natural choir. The concert took place at Four Oaks Methodist Church and also included a stunning performance from Forest Senior Band. Our Juniors did us proud, both in their behaviour and with their energetic performance. Their age range is from 6-9 and they really LOVE performing. Thank you to all who supported this event - the church was packed - and helped us raise well over £600 for the 'Jonathan's Voice' charity. See all the pics from the concert here. Richard Jeffries, SCC's Artistic Director, has been awarded a Churchill Fellowship from the Winston Churchill Memorial Trust. The trust was set up in 1965 as a living legacy to his leadership, empowering individuals to learn from the world to benefit the UK. Richard is one of just 150 people in the whole of Britain who (and only 7 from The Midlands) who have been awarded a grant to travel the world in seach of innovitive soloutions for today's pressing problems. A former teacher from Four Oaks, he left teaching in 2011 to become a freelance choral director and music educator locally. 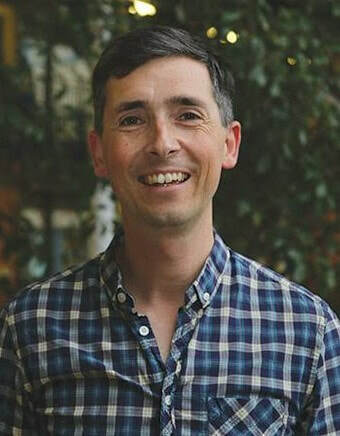 Richard's project, 'Harnassing the power of singing and its effect on learning', will lead him to America, Canada and Finland later this year in search of the very best musical practises that are embedded in their education systems or communites. He will research the impact this has on how young people learn and develop in all areas of their lives. On his return, he shall be in a postion to share global insights and recommendations with colleagues, professions, organisations and communities to make change happen at a local level via SCC initially, but a national level too. You can find out more about Richard and follow his blog by visiting his website here. 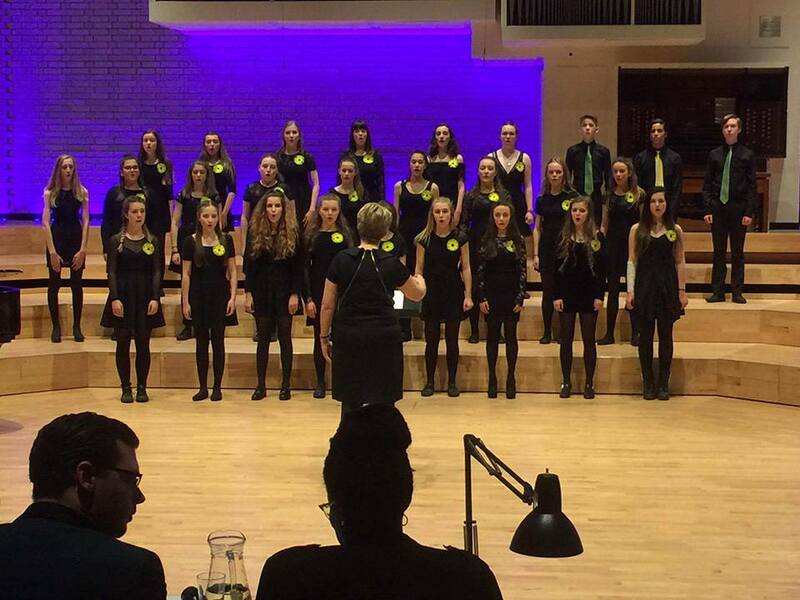 On Sunday 3rd March, Dynamic, Senior and Intermediate Voices took to the stage at Manchester's Royal Northern College of Music fot the annual Manchester Amateur Choral Competition. It was a tough call for the judges with 23 choirs in total and a huge array of different styles such as male voice, barbershop, ladies choirs, community choirs and a capella groups. 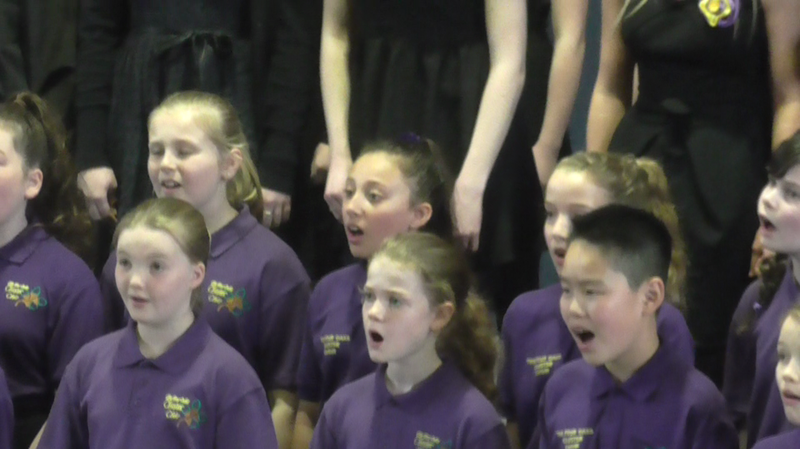 Our combined Senior/Intermediate choir was, in fact, the youngest group competing. 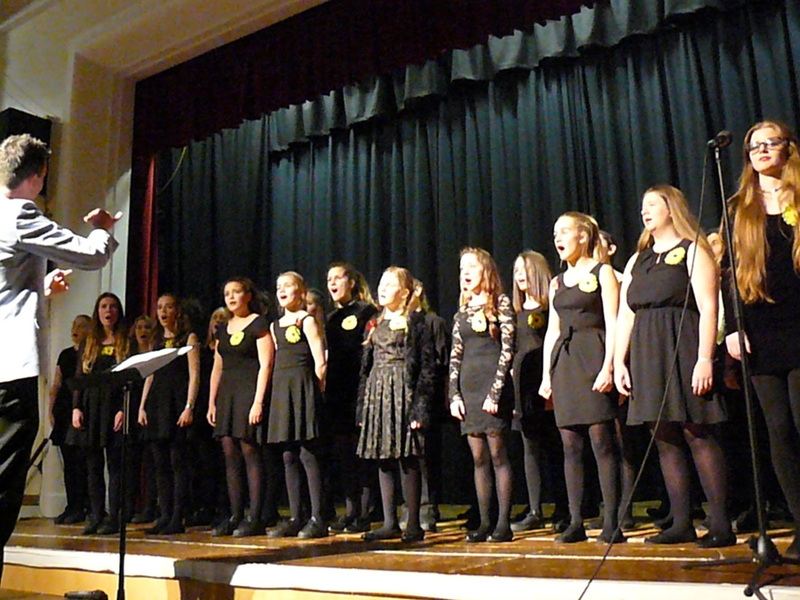 Although not placed, SCC were described as 'stunning' with 'excellent diction and balanced harmonies.' Well done all! 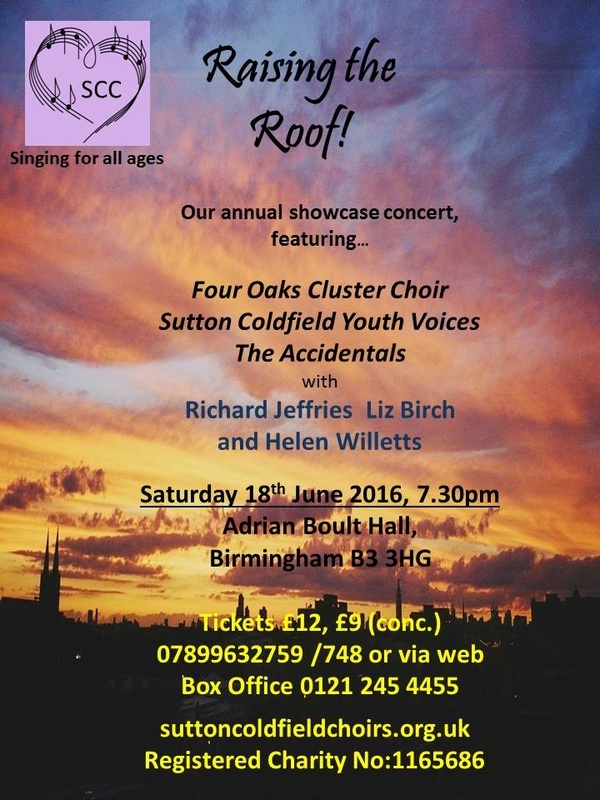 The first ever Sutton Coldfield Festival of Voices! We are SO are excited to be launching Sutton Coldfield's own Festival Of Voices. This will be a solo voice competition hosted by our own organisation, Singing Community of Choirs, and is open to all ages across three different musical genres. Could you be our first ever finalist? Save the date: Saturday 13th July 2019 at Sutton Coldfield Town Hall. For more information on how to enter, click here! On Sunday 10th Feruary, members of of Intermediate and Senior Voices joined forces with Queens' College Cambridge for a joint Evensong. This is the first time SCC has undertaken this challenge, and it was one of great joy and growth. The young choristers have been attending extended rehearsals this term in the lead up to this day, and we've been very impressed with their commitment. The day was memorable, not just for the wonderful musical experience in the chapel (and having the opportunity to sing with some very gifted musicians! ), but also for the time we spent with our Patron, Suzi Digby OBE. She entertained us in the President's Lodge with tea, cake and song - before we had a tour of Queens' College. We learnt lots about its history and were taken in by its beauty. The rehearsal in the chapel was led by both Suzi and Adam McDonagh, followed by the service itself. What a brilliant day we had! You could see each of our young choristers grow in confidence by the miunute, and we sincerely hope that this experience will stay with them for a long time to come. Little Voices - their first performance! 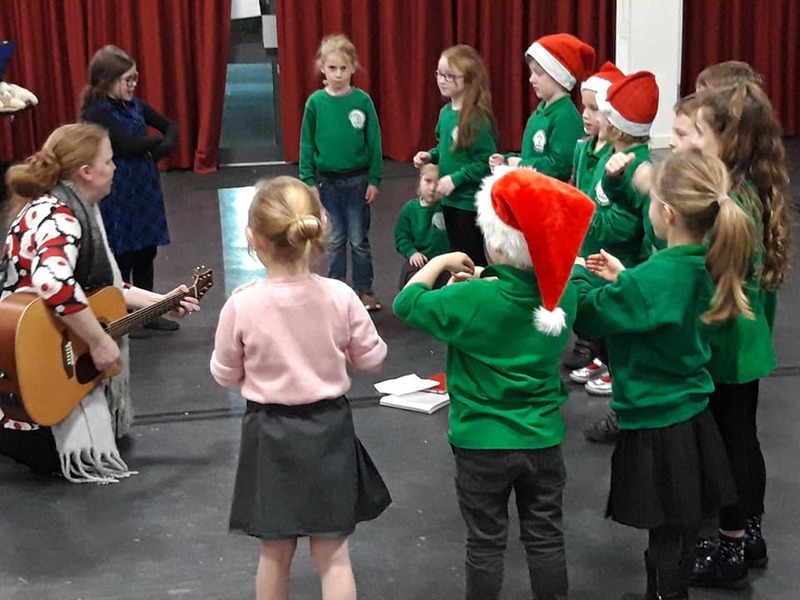 At the end of the Christmas Term, our newset choir - Little Voices - demonstrated what they've been learning this term with Sara. They performed some of their songs and added actions too, with some part singing in places - preparing them well for what lies ahead. They also got to perform with our Junior Voices! Our Christmas performances started in earnest on Saturday 8th December, when Senior Voices - our teenage choir - performed brilliantly at Four Oaks Methodist Church. They were guests with B Natural Choir, an chamber group also conducted by our Artistic Director, Richard Jeffries. It was a fantastically varied programme, ans one that included some joint pieces too. We also raised over £800 for New Futures Nepal - a charity that supports children in their development and education in Nepal. 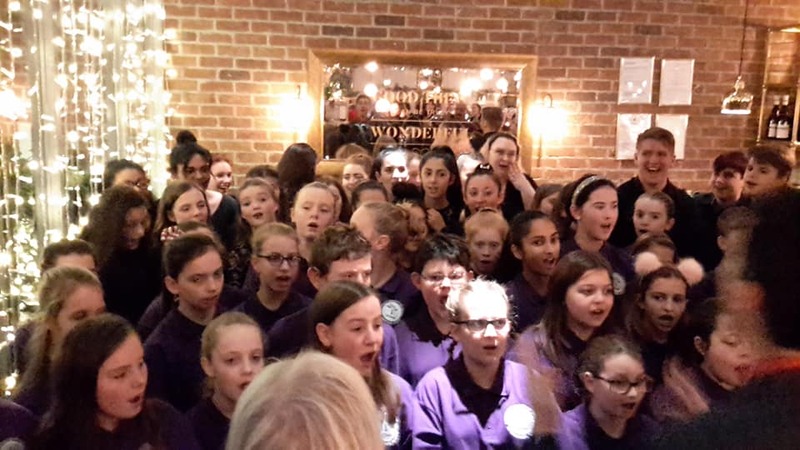 On Sunday 9th December, the festivities continued as both Senior and Intermediate Voices performed carols at Gusto restaurant, Mere Green. It was PACKED - but everyone had a great time. Thank you to the restaurant for providing pizza after the singing! Our Christmas performances continued on Wednesday at Lichfield Cathedral with Junior and Intermediate Voices, singing not only individually as choirs in their own right, but also with the combined schools choirs. There were over 250 performers at this event and 800 in the audiance! On Sunday 16th December the Family Christmas Concerts, with Intermediate and Dynamic Voices, hosted by the Royal Sutton Coldfield Orchestra, was a busy day with two concerts. It was a fun-packed and festive day with a vast array of music - rounded off with a rousing finale combining all three ensembles. 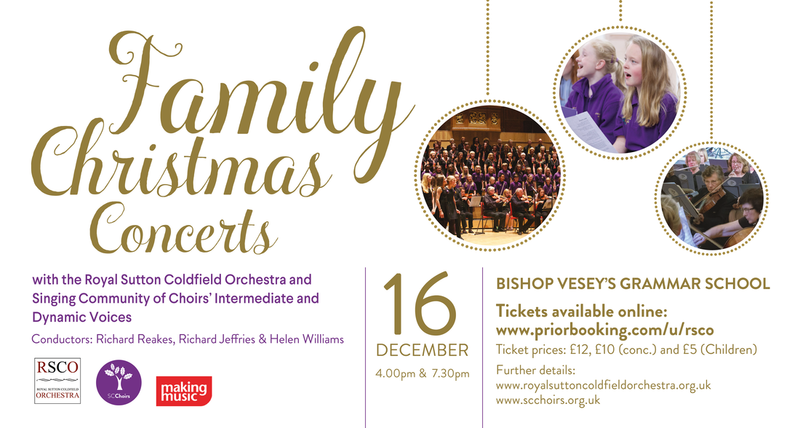 Family Christmas Concerts below - buy tickets here! A Celebration of Strings, Jazz and Song! We had a great time at Sutton Coldfield Town Hall on Sunday 11th November! Dynamic Voices, complete with their new look, were invited to perform at a concert as part of remembrance weekend. The afternoon was incredibly varied - with string groups of amazing standard (and children as young as 3! ), a gospel choir and a jazz band. This concert was also the first official engagement of our adult choir under its new name too - all verey exciting. We were very please with their very professional performance! 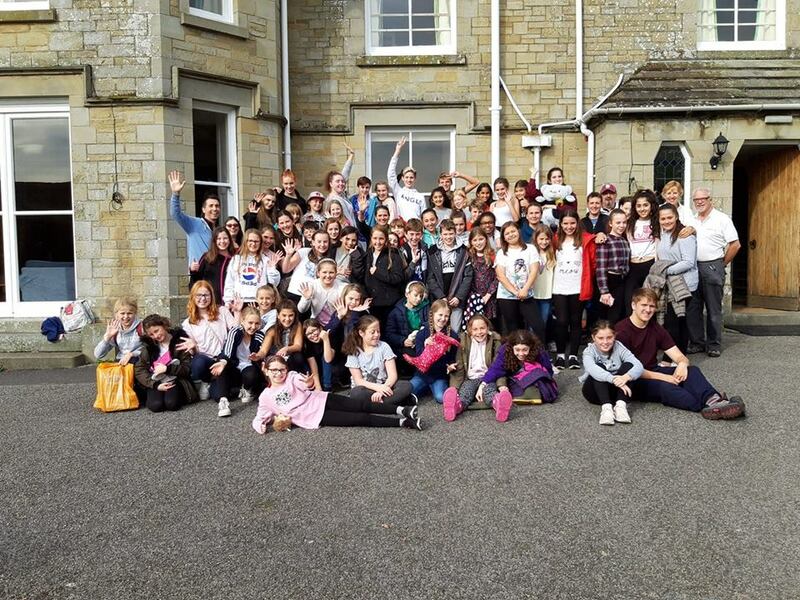 From 5th-7th October our Intermediate and Senior Voices spent the weekend at Dunfield House, Herefordshire in their first ever 'choir camp' residential. This was a huge success and the young people are already asking about next year! We had an amazing weekend! Our young people have not only developed musically, learning some challenging repertoire, but socially too. Our seniors displayed much maturity, looking out for the younger ones - and each and every person has made new friends and participated fully. We are hoping to make this an annual event! Big thanks to Corinna and Angela who have been superb chaperones, and the whole music team who have helped make this weekend one to remember. Also thank you to Sue and Paul, our hosts. 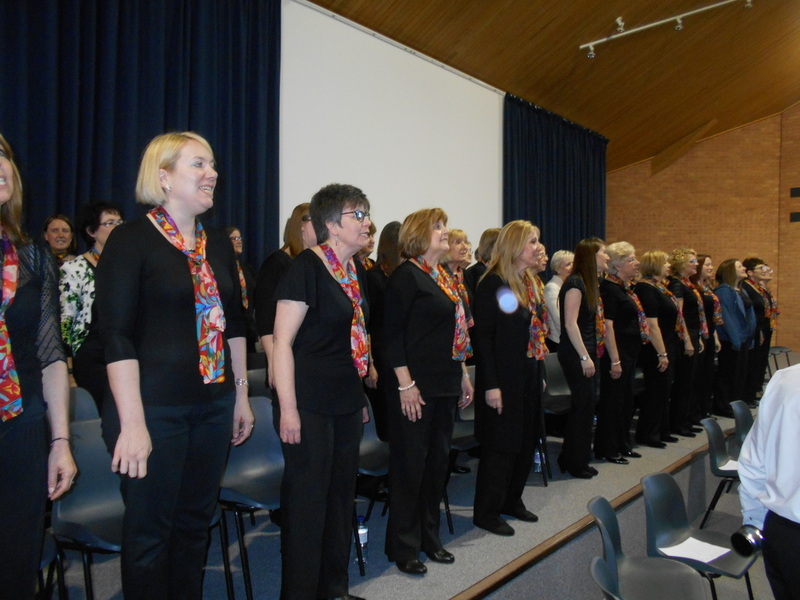 Exposure for the choirs at Sutton's Expo ! 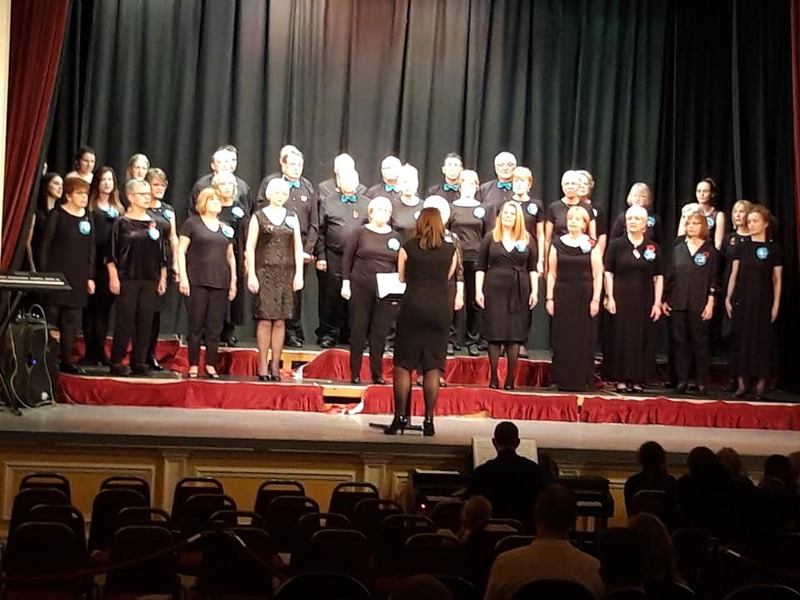 On Saturday 30th September the choirs performed in Sutton Coldfield as part of the annual 'Expo' - we combined representitives from all the age groups in a 20-minute opener for the event. We then ran a stall promoting our choirs for the rest of the day, handing out leaflets and postcards, inviting people to come and sing witrh us. 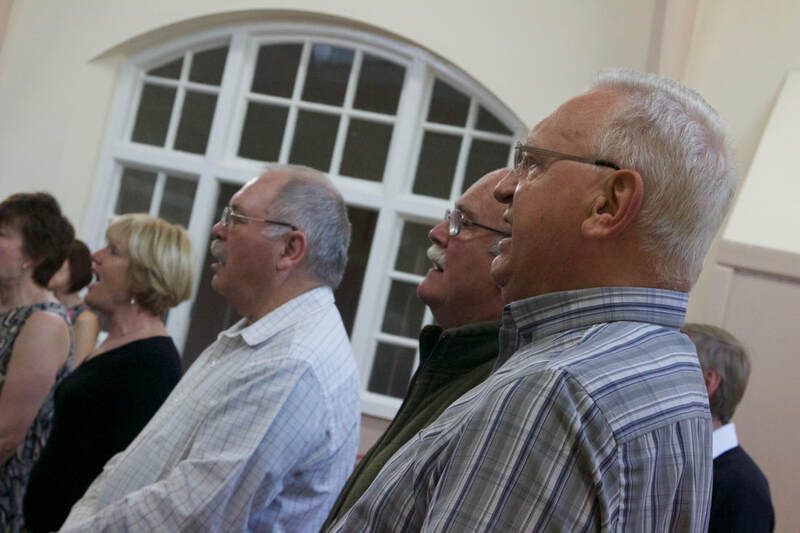 We believe everyone should have the opportunity to find their voice and our choirs cover a vast age range from 4 through to adults. Thank you to all who performed and helped promoted what we do. it was a great day of publicising SCC and all it offers! After a very positive start to the term, launching a fifth choir in our organisation, and lots of new members, the new academic year has just got even better: SCC has been nominated for 'Community Group Of The Year' in our home town of Sutton Coldfield. This award is run by the town council. We are so excited to be a finlaist, and we await a reception at Sutton Town Hall on Thursday 11th October when we'll find out if we win! Just getting this far means a lot to the whole team at SCC, and we'd like to thank everyone who nominated us. It's a really lovely way to start the new term. A choir for every age group! We are a family of active choirs with unique performance opportunities, an outstanding choral programme and a host of social events. 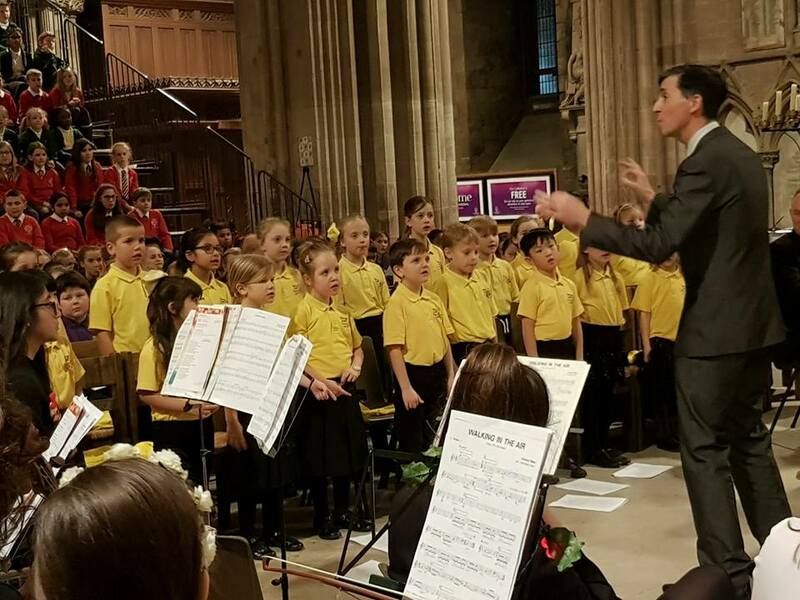 We offer inclusive and progressive choirs for every age group, that develop excellent musicianship via our expert team of conductors and musicians. Develop your voice, confidence, memory, academic achievement, reduce your stress levels, increase your circle of friends - and have FUN every Wednesday at Arthur Terry School! Sign up now for September and be part of this leading organisation. If you'd like to know more about what we do, click here. Concerts In The Park - Sunday 1st July - HOT HOT HOT but FUN! 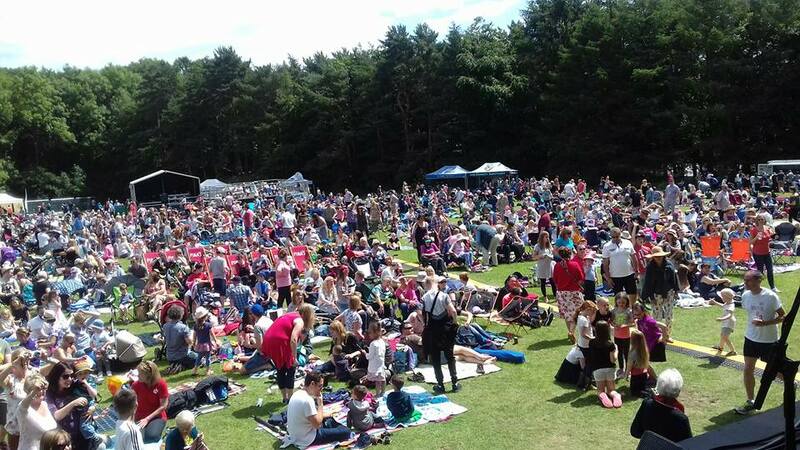 'Concerts In The Park' weekend was a great weekend of music for Sutton. On the Sunday, a host of choirs and musical groups were invited to perform to the crowds - as many as 6000 were watching! 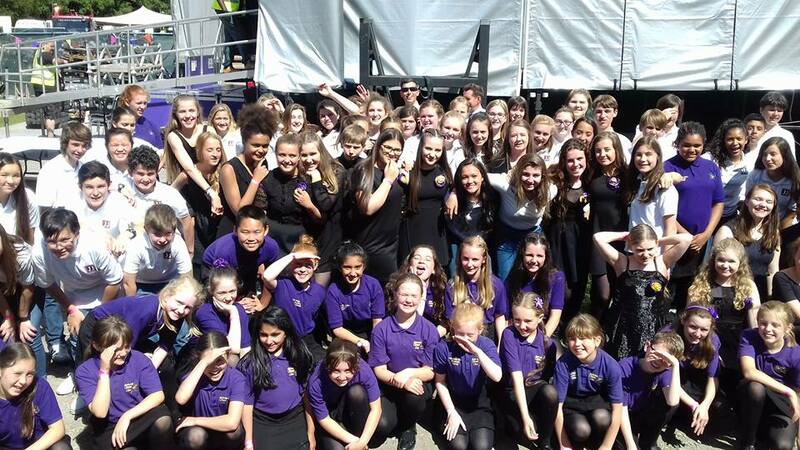 It was a hot day, and even hotter on stage, but all of our choirs combined made a fantastic sound - described by many as 'the best act of the day'! What a superb opportunity for all our choristers - and what a well-organised day it was. I'm sure we'll be back next year! Our annual choirs showcase was a huge success! 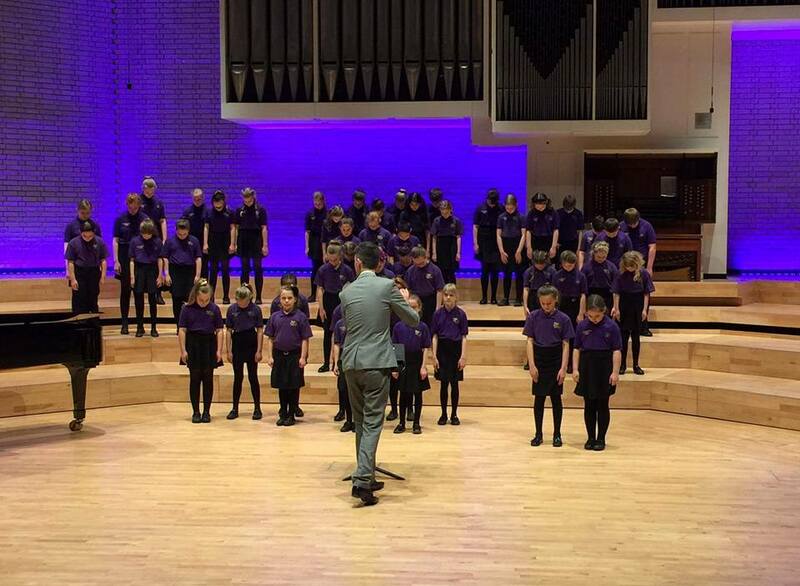 On Sunday 24th June, all of our choirs took to the stage at Elgar Hall (part of Birmingham University's prestigious concert venues). As usual, the evening featured a live accompanying band and included both joint and individual choir items. 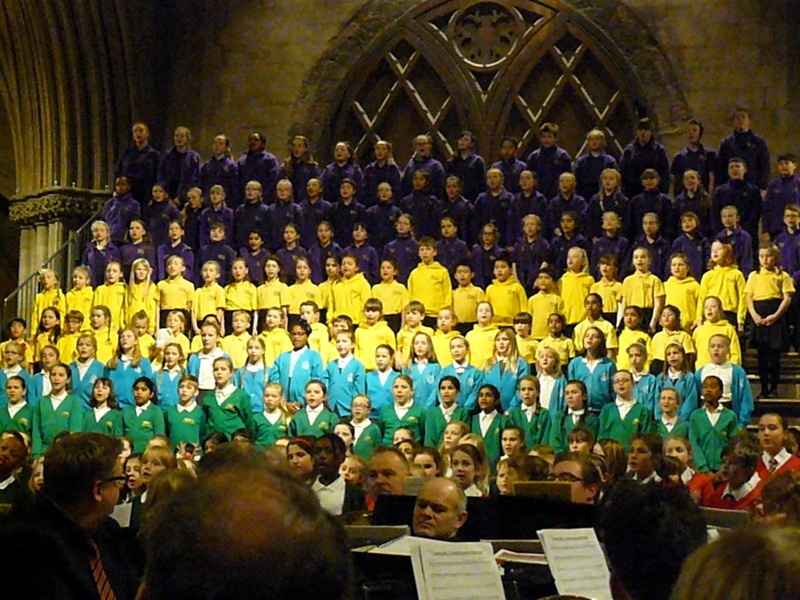 It was our best yet, featuring more choirs than ever before - including our youngest! Thank you for all the great feedback, to all those who supported - and of course, our amazing choirs. You're all stars! We had a lot of fun on Saturday 5th May - this was our first ever flash mob! At 11am, Helen Williams, one of our conductors and vocal coach, began on her own singing 'Siyahamba' - with an ever-increasing circle of people joining in from all our choirs, until there were approximately 200 singing outside in the sunshine. We then treated the onlookers to one or two more pieces 'in situ', before dispersing into the shopping malls. You can view the build up on the video to the right - enjoy! Thank you to ALL who supported, including extra singers from Social Singers and B Natural. We really appreciate it. Don't miss our April social! Have you ordered your tickets yet? 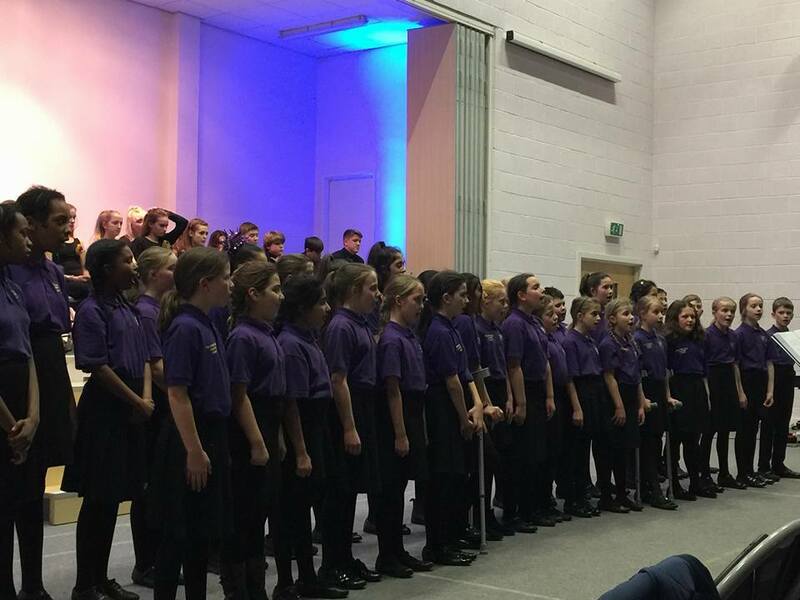 We had a great night on Wednesday 21st March - both Cluster Choir and Youth Voices performed pieces in our Spring Concert at the Harvest Fields Centre. It was a lovely opportunity to show off the work we've been doing, in a relatively informal setting. As well as individual pieces, the choirs joined together at each end of the concert for a grand performance of Hava Nashira and Streets of London. Some members of Youth Voices also prepared their own song, without any input from us at all, showing great creativity. Thank you to all who supported or helped behind the scenes, including our team of chaperones. It was a busy night which sold out - in fact we ran out of chairs! Here's to some superb, high-profile performances in the summer term! Friday 16th March was a special day! For the past 6 weeks, SC Choirs has been working with four local (and not so local) primary schools, delivering singing workshops. Inspired by Benjamin Britten, 'Friday Afternoons' is an international initiative run by Snape Maltings, encouraging young people to sing. It is through their funding that we as an organsaition have been able to carry out this project. Their ever-growing Song Bank contains new music and support material to help teachers develop their students’ skills – as performers, listeners and composers. All resources on the Song Bank are available for free! 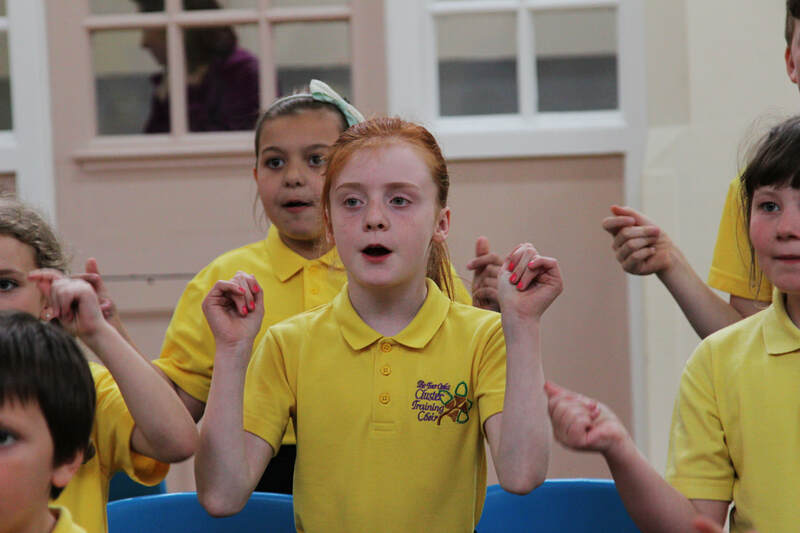 The four schools - Kingsthorne, Moor Hall, Hollyfield and Four Oaks primaries - have each received 6 weeks of workshops from our staff, learning 6 different songs, which were all put together for the first time on Friday with 150 singers. 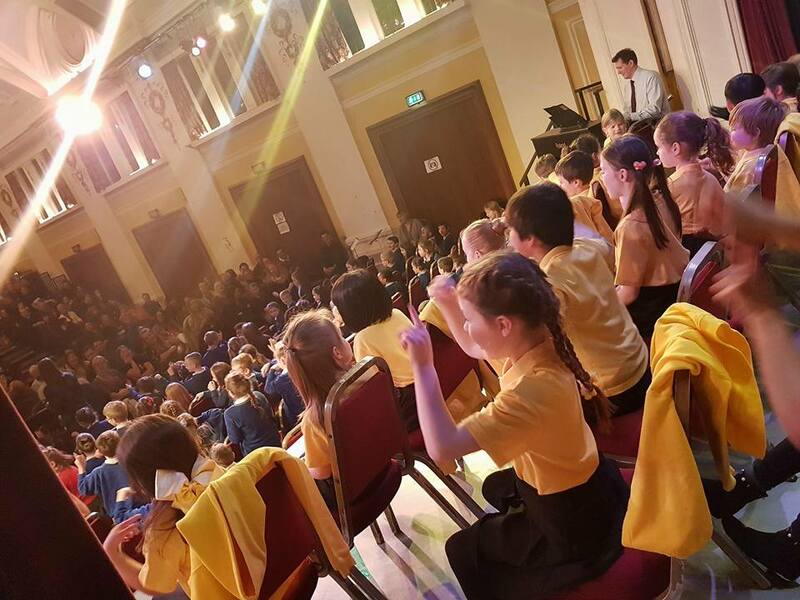 The performance was watched by a packed Sutton Coldfield Town Hall, with an audience of over 300! 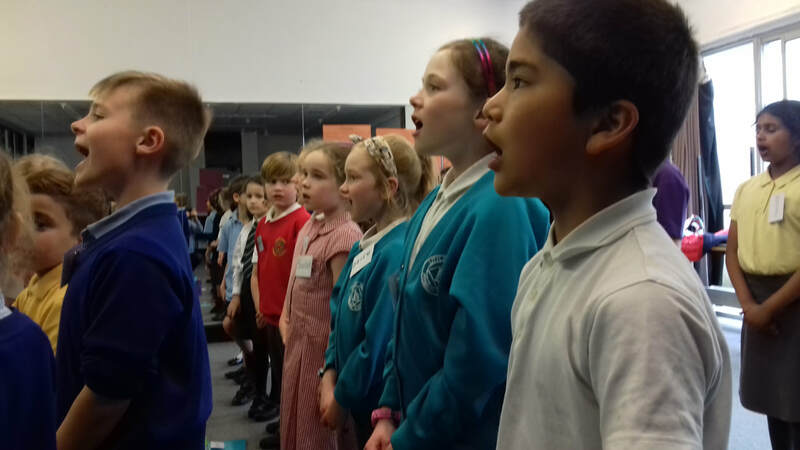 We also showcased our very own Training Choir which draws in pupils aged 6-9 from many schools - the same age range we worked with for this project. 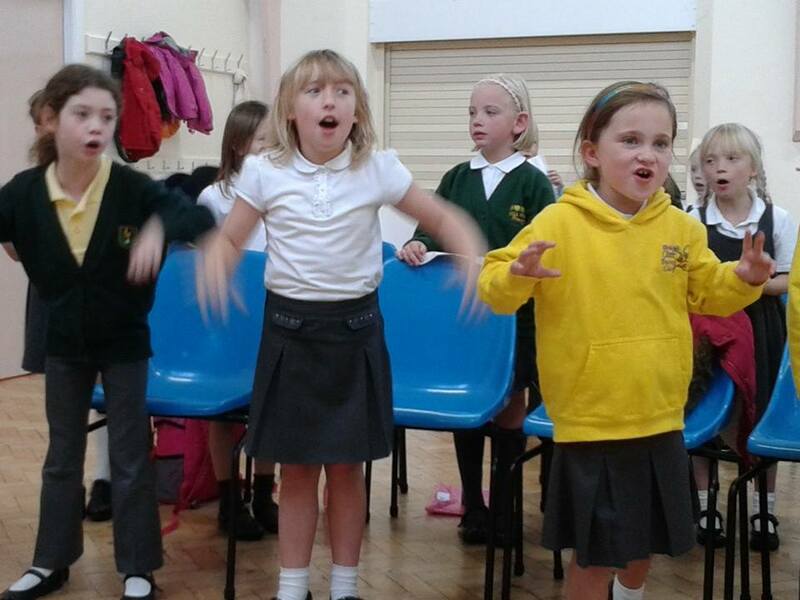 We believe that singing should be an essential part of all schools - not an add-on. Regular singing not only develops musicianship, but also increases confidence, well-being, nurtures concentration and helps develop literacy and numeracy skills. 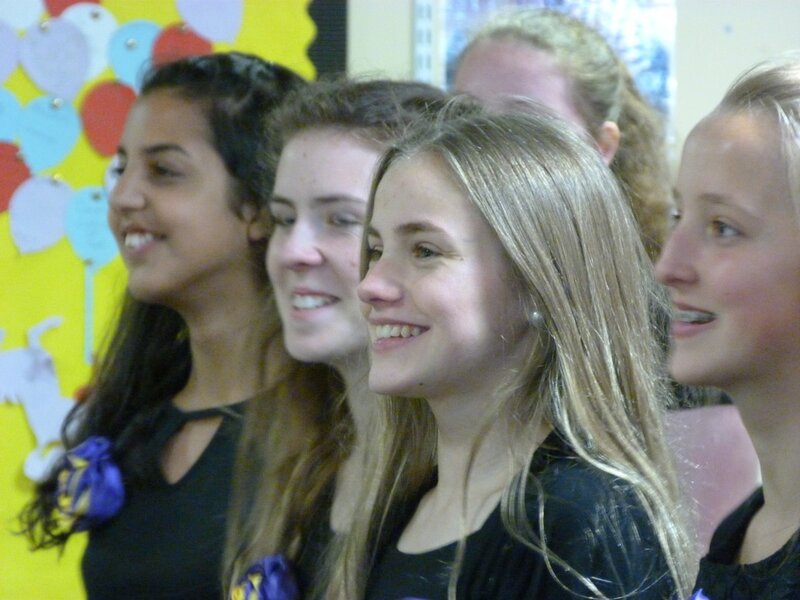 At SC Choirs, part of our Artistic Strategy is to ensure we not only provide the best vocal tuition and rehearsal experience for our members, but that these skills are shared and delivered in schools to both pupils and teachers alike. Exciting times! What a super night Saturday 10th March was! Our adult choir, The Accidentals, performed at the Coton Centre (Tamworth), sharing the stage with Lichfield Concert Band. The choir performed superbly, with some stunning performances of Shenandoah and Will Todd's The Lord Is My Shepherd. There were also pieces from The Beatles and even a Zulu choral favourite, Siyahamba! The band were simply brilliant - they are a joy to watch and hear, and their renditions of Star Wars and Disney Favourites were especially memorable. It's always a pleasure to share the stage with them! Quiz Night - a roaring success! 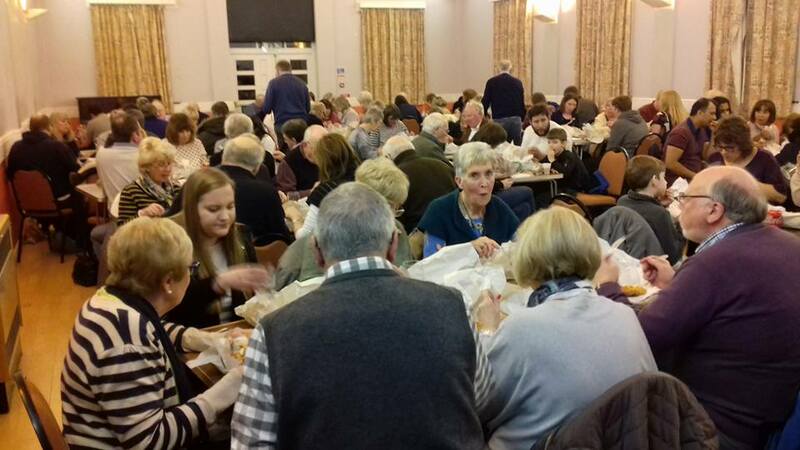 What a huge success our 2018 quiz night was! Saturday 10th February was a chance for all our choir families to get together and test that grey matter. 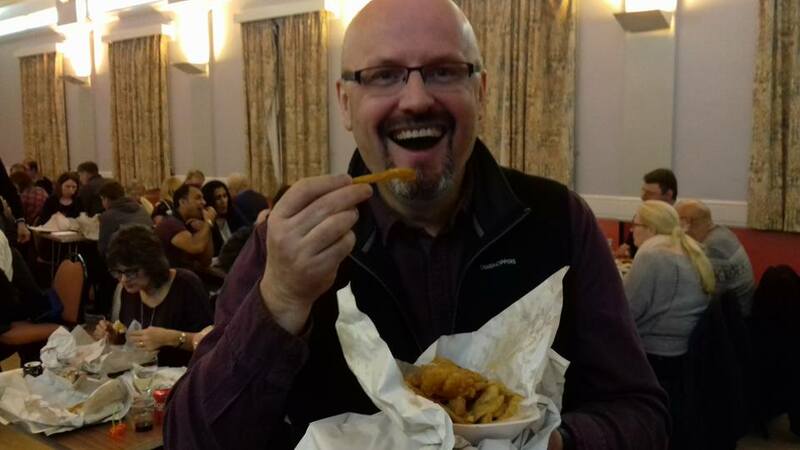 Included was a superb Fish and Chip supper, supplied by Beeches Walk Takeaway, as well as a tuck shop, bar and a host of raffle prizes. A massive thank you to all 100 people who bought tickets and supported the event, but a special thank you to Annabel Willetts and Matt Walker who co-ordinated the whole event. A bug thank you, also, to those who helped on the bar and behind the scenes. 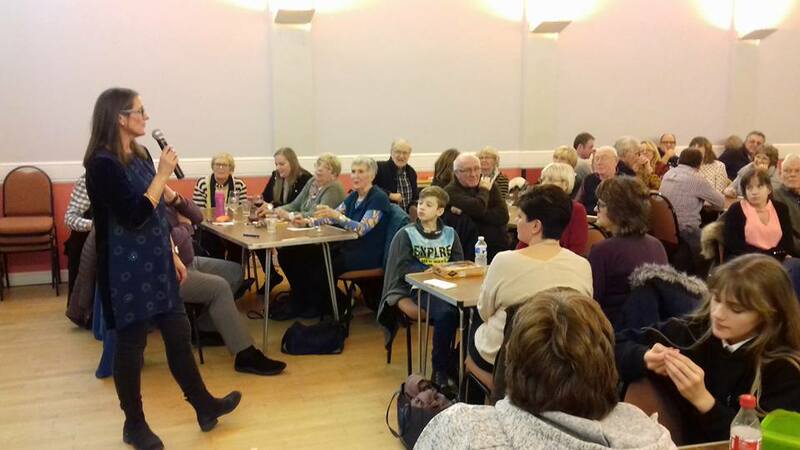 These social events are as much part of our choirs as the music, and it's great to get to know people that bit more. We sing better together when we socialise together too! The event was the biggest quiz yet, and we raised £600 for SC Choirs - almost twice last year's figure. Well done all! It's been great to get back to rehearsals after the Christmas break! We've also welcomed some new members to all the choirs - and the Cluster Choir is now almost full to capacity, approaching 70 members. We're looking forward to a fun-packed spring and summer, with a number of concerts, a schools project, a flashmob - and of course our end-of-year SHOWCASE in June. It's not too late to join us! Saturday 10th March: The Accidentals perform with the Lichfield Concert band at the Coton Centre, 7.30pm. 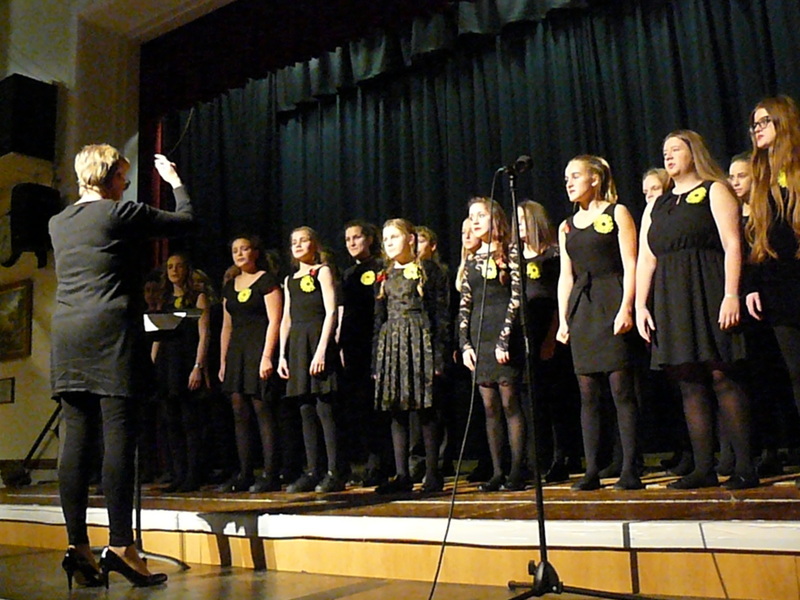 Friday 16th March: Training Choir and four local schools perform at the Harvest Fields Community Centre, 7pm. Wednesday 21st March: Cluster Choir and Youth Voices perform at Harvest Fields Community Centre. Saturday 5th May: FLASH MOB - all choirs - venue and time tbc. 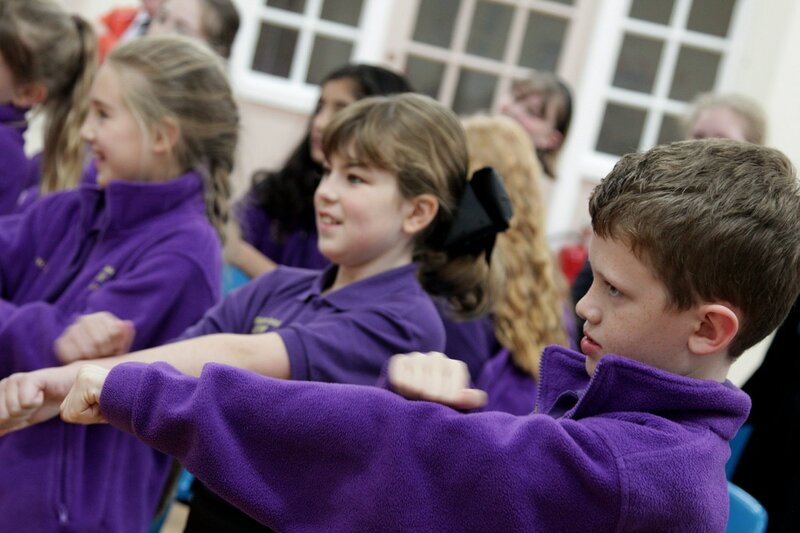 Monday 18th June: Training Choir tour local schools. 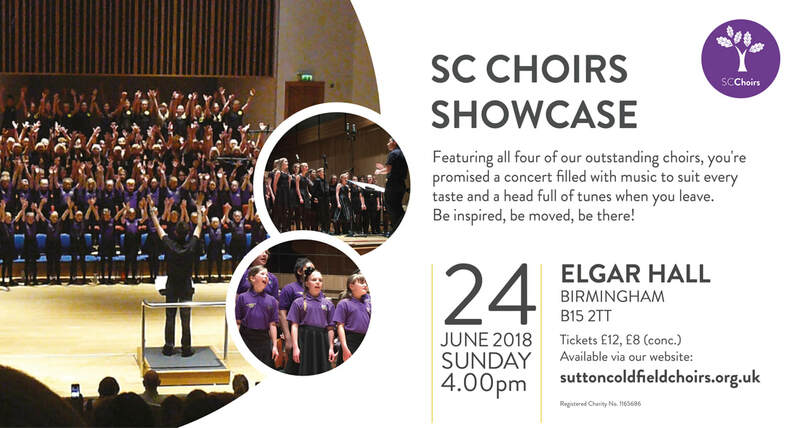 Sunday 24th June: Showcase Concert - all choirs - at Birmingham's prestigious Elgar Hall. Monday 25th June: Cluster Choir tour local schools. Our festive season kicked off with a fabulous concert at Lichfield Cathedral on Wednesday 6th December, which included our youngest ensemble the Training Choir, as well as our Cluster Choir. We also combined with seven school choirs and the Royal Sutton Coldfield Youth Orchestra, with the Staffordshire Band to make a huge sound in the congregational carols. With over 250 performers altogether, this was one of our biggest yet - with a packed 500-strong audience. Jessica Pegg, a member of the Cluster Choir, kicked off the evening by singing verse one of Once In Royal David's City totally unaccompanied. 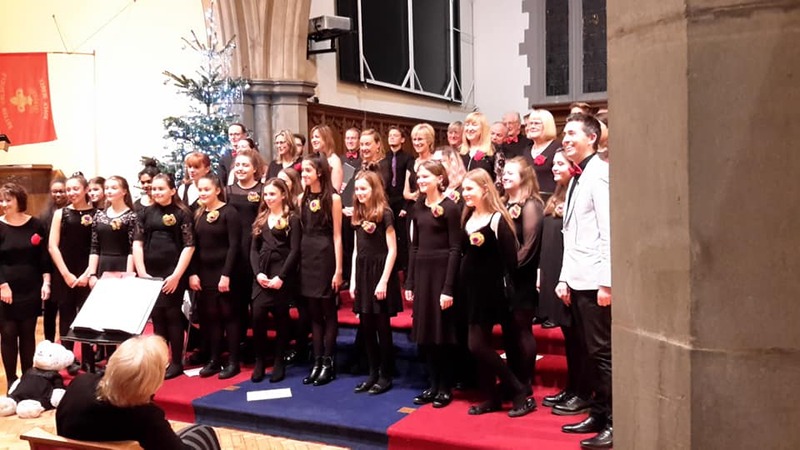 Thankfully, at our Harvest Fields Christmas Concert we were able to include the Cluster Choir, along with Youth Voices and The Accidentals and we had a very festive evening of music, carols, drinks and a raffle! We're beginning to wonder if the weather is against us - it snowed again at the end of the concert! Maybe next year we should avoid Christmas pieces with the word SNOW in them! It's been a great term with lots of positive feedback, great music and friendship. Thank you for all your continued support. We look forward to our Christmas parties the end the term! Forthcoming Christmas Concerts - don't miss them! Come and support our array of Christmas Concerts as we approach the festive season. They are all listed below! Friday 24th Nov, 7.15pm, Bishop Vesey's Grammar School: NSPCC Concert with Training Choir and Youth Voices, plus a host of other local talent. Tickets all £5. 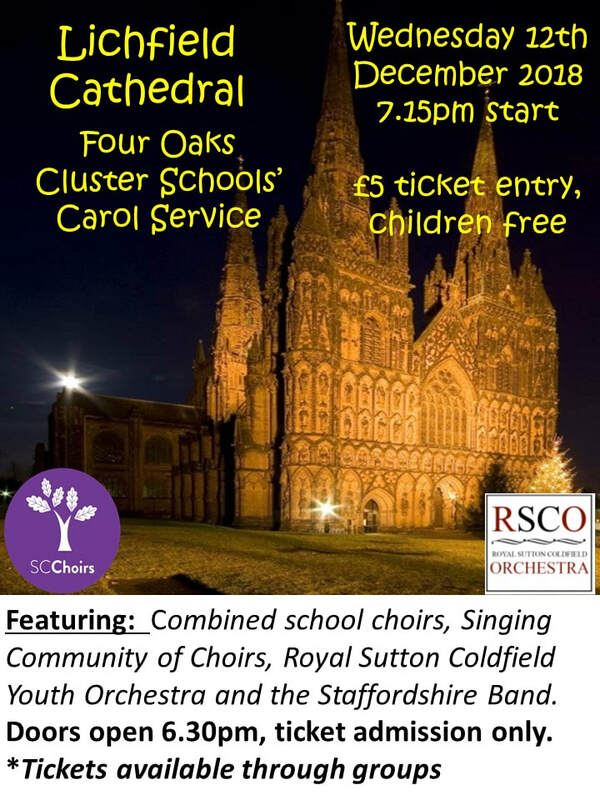 Wednesday 6th Dec 7.15pm, Lichfield Cathedral: Carol Service with Training Choir, Cluster Choir and combined local schools choirs. Tickets £5. 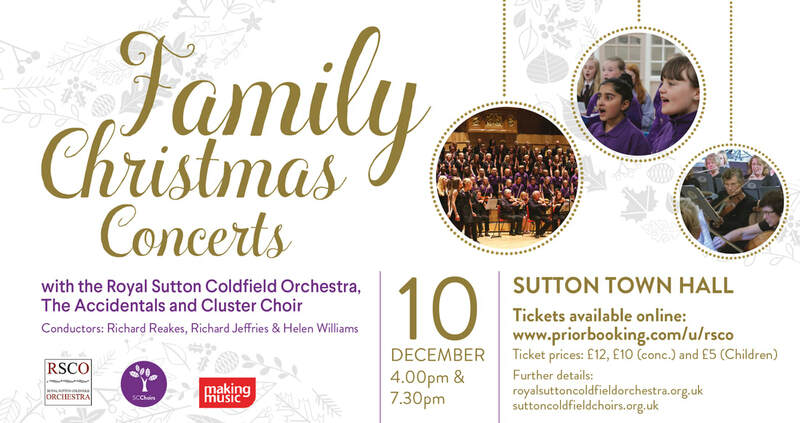 Sunday 10th Dec 4pm & 7.30pm, Sutton Town Hall - family Christmas Concerts, with Cluster Choir, The Accidentals and the Royal Sutton Coldfield Orchestra (see right - click for tickets). 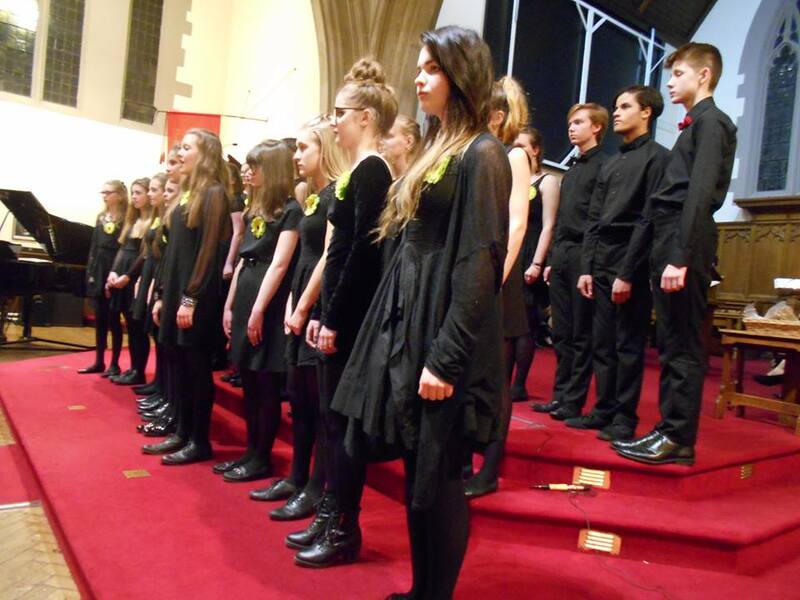 Wednesday 13th Dec 7.30pm: The Accidentals and Youth Voices perform at the Harvest Fields Centre. Tickets £5. Annual NSPCC Concert a huge success - well done to all involved! What a spectacular night we had on Friday 24th November. A great concert with our Training Choir & Youth Voices - together with Hill West Primary School choir, Bishop Vesey's Clarinet Ensemble & Royal Sutton Coldfield Youth Orchestra - helped to raise lots for the NSPCC. The evening was held at Bishop Vesey's Grammar School, and a whole host of music was performed to a packed audience, together with numerous raffle prizes. Well done to all involved - and what a finale at the end! On Wednesday 8th November, Cluster Choir and Youth Voices joined forces - affectionately called 'Cluster Voices - to record an entry for Britain's Got Talent 2018. We've tried before and been disappointed, but this year we were encouraged send in a recorded entry. 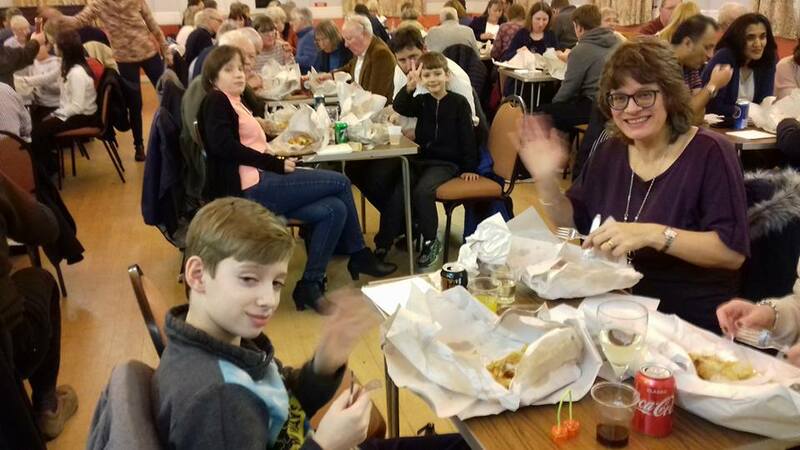 What a great night we had on Friday 3rd November - a fun social for all the family. 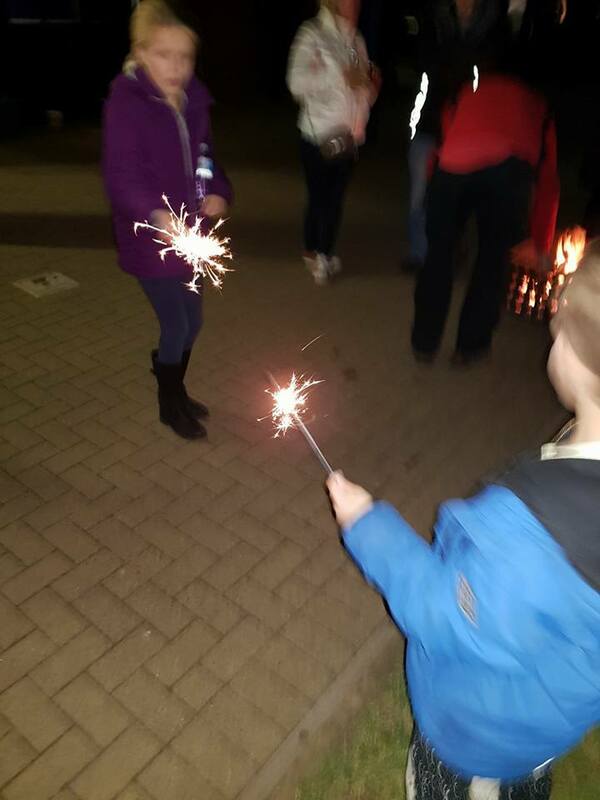 We enjoyed the tuck shop, apple bobbing, toasting marshmallows, a raffle, face painting, hot potatoes and singing around the fire. Once the singing got going, it could be heard across Harvest Fields Centre! It was lovely to see people of all ages mixing and having fun. Thanks t all who supported, and all who helped behind the scenes too. Roll on to our next social event! We're very excited to have been awarded £1500 from 'Friday Afternoons'. This will be used to specifically train teachers in delivery of singing via CPD, with opportunities for schools' staff to observe our music team working with their children. This is very exciting and is a new project for us, and one that ties in neatly with our Artistic Vision. 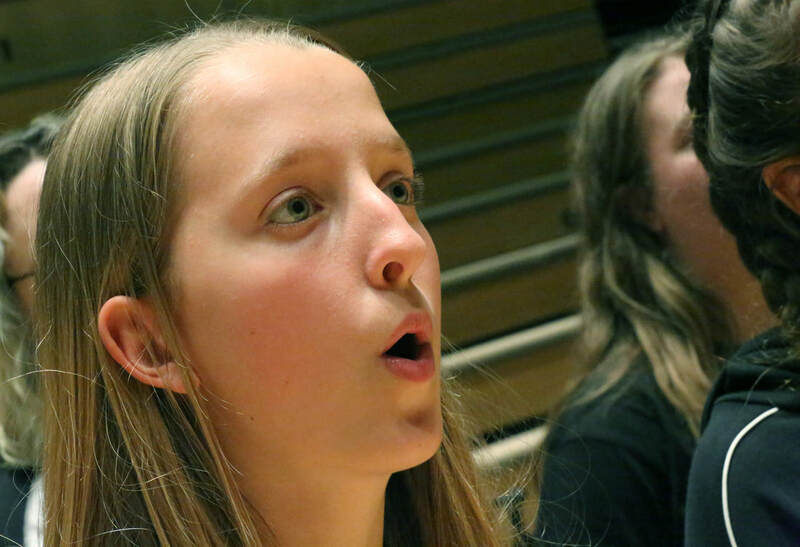 Inspired by Benjamin Britten, Friday Afternoons is an international initiative run by Snape Maltings, encouraging young people to sing. The ever-growing Song Bank contains new music and support material to help teachers develop their students’ skills – as performers, listeners and composers. All resources on the Song Bank are available for free. 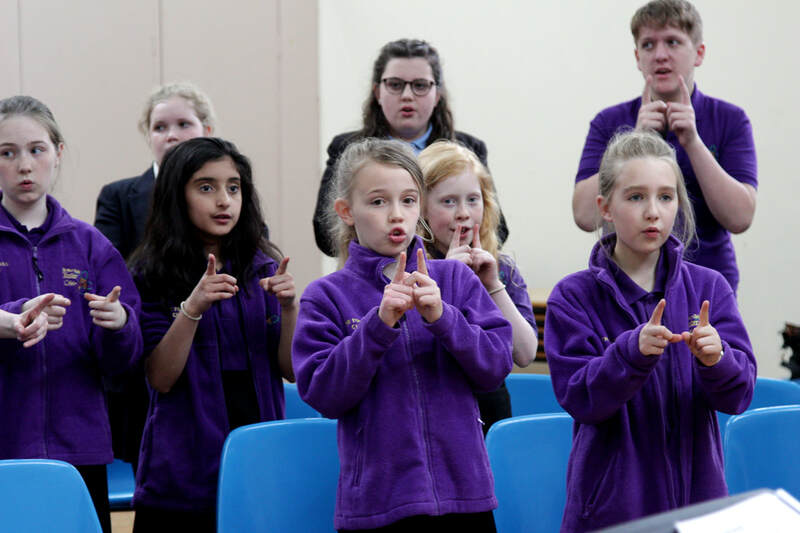 Up to four local schools will receive a series of singing workshops, which will enable our staff to work with school staff, developing musical delivery. There will be an opportunity for all schools to perform their material in a concert, all together, next Spring together with our very own Training Choir. For more information on 'Friday Afternoons', visit their website by clicking here. Inductions for 2017-18 will soon be upon us! Wednesday 6th September will be a Social Evening and Induction at the Arthur Terry School, where there'll be a tuck shop, face paints for the younger ones, stalls, Matt's Magic and much more. There will also be opportunities to mingle and welcome new members, plus time to fill in the necessary forms! Part of the induction for our younger choirs will include a briefing to all parents/guardians - it's imperative that we have 100% attendance for this as we will be covering many vital points. This will take place for the first half-hour of each choir time set out above. Please note, Cluster Choir and Youth Voices briefing will be from 5.30pm. We believe that the social aspect of choirs is as important as the music. We will, therefore, be planning social events throughout the year for our choir members, and these will include family-focused events too. 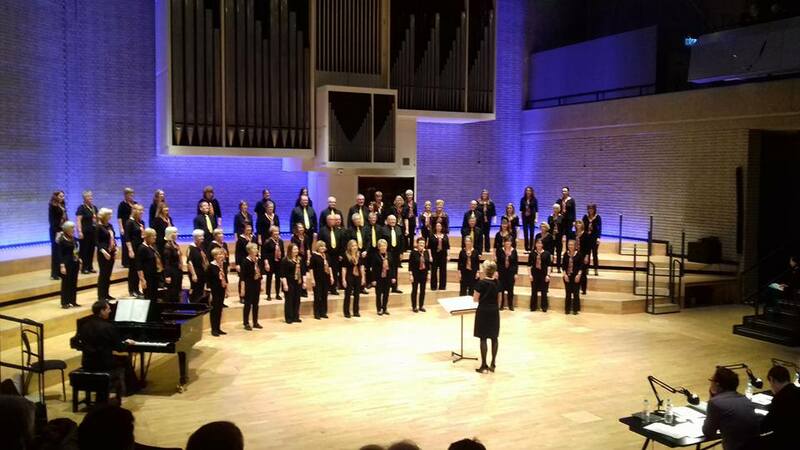 On Saturday 17th July our choirs' finale concert took place at Elgar Hall, part of Birmingham University. What a great venue - this was the first time we'd performed at the hall, but the acoustics were superb. 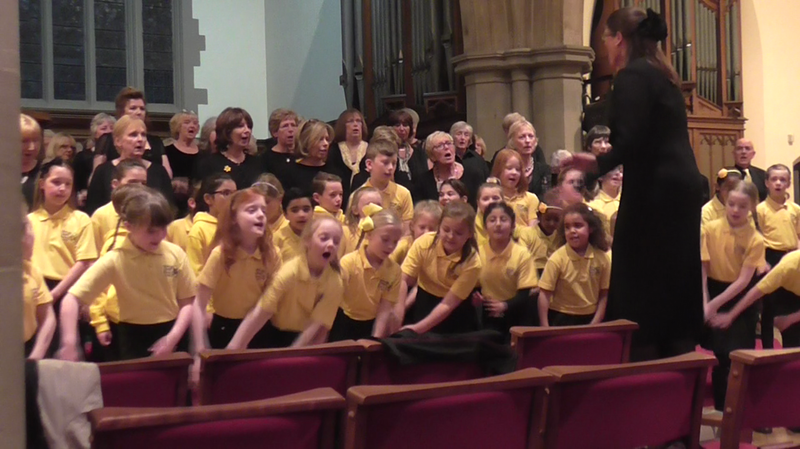 We had a very supportive audience, who loved the wide-ranging music - some of which was combined through all the choirs. Our orchestral accompaniment was also appreciated - thank you to all the players for their hard work and time. I'm sure we'll be back at Elgar Hall in the future - but in the mean time, we'll take a well-earned break until September. Check back here for news of exciting events already planned for the 2017-18 season! What an AWESOME weekend we've had. July started with a bang as we welcomed the Piedmont East Bay Children's Choir from San Francisco. Our choir families hosted their students for the weekend, and SC Choirs organised and took part in a variety of activities and events. Once our host families had met and picked up their American students, we has a picnic at Harvest Fields in the sunshine. Our members soon made new friends with our visitors from across the pond, resulting in much laughter and spontaneous singing. This was followed by a joint rehearsal and a sharing of each other's music. The evening then ended with a PARTY - for choristers and parents alike! On Sunday 2nd July we took part in Sutton's 'Concerts in the Park' - which was a bit like a local Glastonbury! A huge stage was erected and as many as 6,000 people packed in to watch our own choirs perform, and also the San Francisco choir. Other local groups took part too, along with members of the CBSO. The concert ended with a big finale: our own choirs and the American one joined forces for a powerful rendition of 'Somewhere' from West Side Story. The crowds loved it! Thankfully, the sun shone all weekend and we had a great time. Thank you to ALL the host families, helpers and chaperones who contributed to the weekend. It was one to remember! Find out more about the Piedmont choir here. See all the pictures from the weekend here. Sign up for the 2017-18 season by 21t July and pay THIS YEAR's rates! It may seem a long way off, but we're looking ahead to next year for a variety of reasons. Firstly, we want to encourage as many of our current (and potentially new) members to sign up now for 2017-18 - if you do so by 21st July, you can subscribe to this year's rates before the rise in September. We also have a number of exciting things planned for the coming year: some of these things include a secret and surprise FLASHMOB performance - location and date to be announced in rehearsals this autumn - plus the return of Choir of the Year. There will also be a host of new and regular social events for all our choirs. 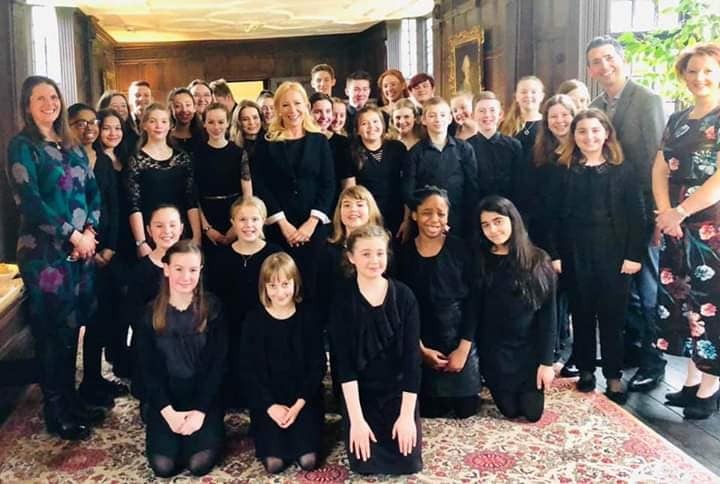 Our younger choirs will have the opportunity to enter ITV's Britain's Got Talent, and there's also a new young leaders' scholarship scheme we'll be introducing, as well as a series of new rewards. One change will be to move venue - this is largely due to the planned construction work that is to be taking place at the church, which will make parking more difficult and limit where we can actually rehearse! We will therefore be moving to the Arthur Terry School as from September for the whole of the 2017-18 season. 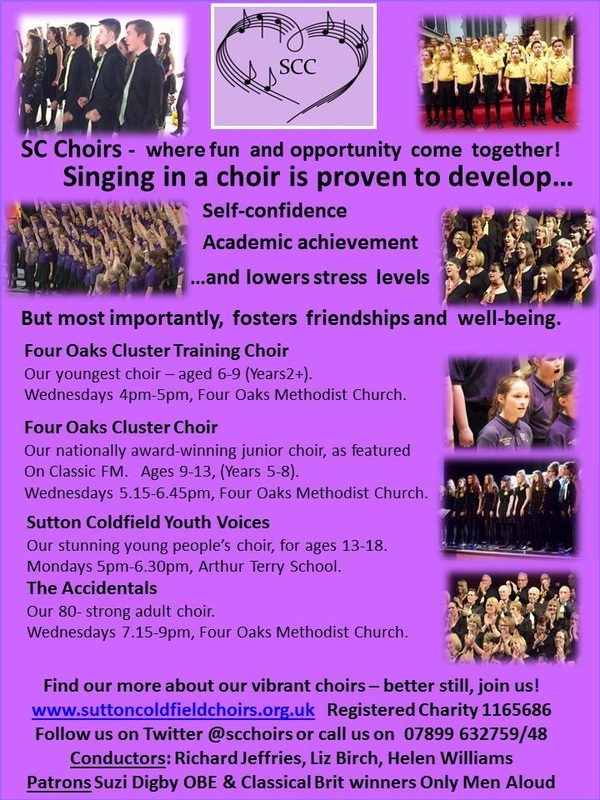 FREE taster sessions at SC Choirs! 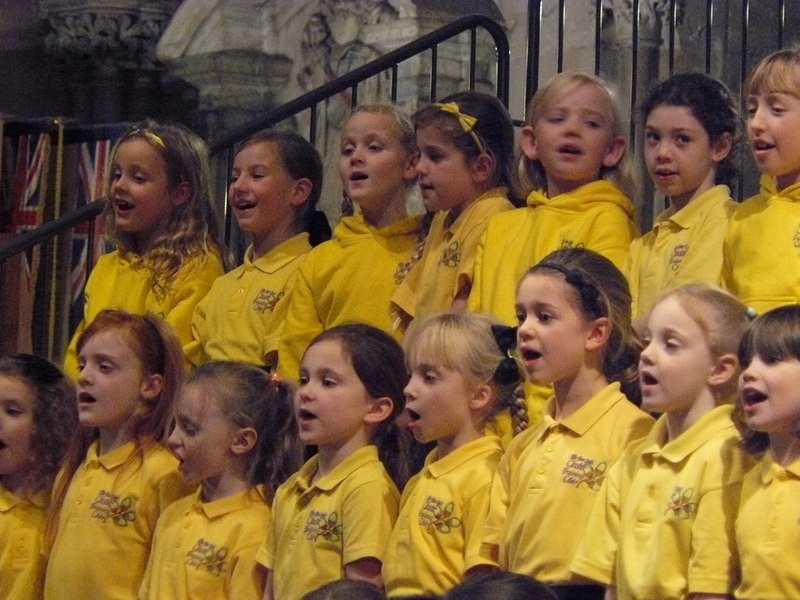 Regular singing in a choir fosters friendships, develops confidence and can even help develop academic achievement. Our choir family is growing, and we'd love you to be part of it. If you know a local pupil who loves to sing, and would like to develop this further, get in touch! Our choirs offer high quality vocal training and opportunities to perform in some superb venues. 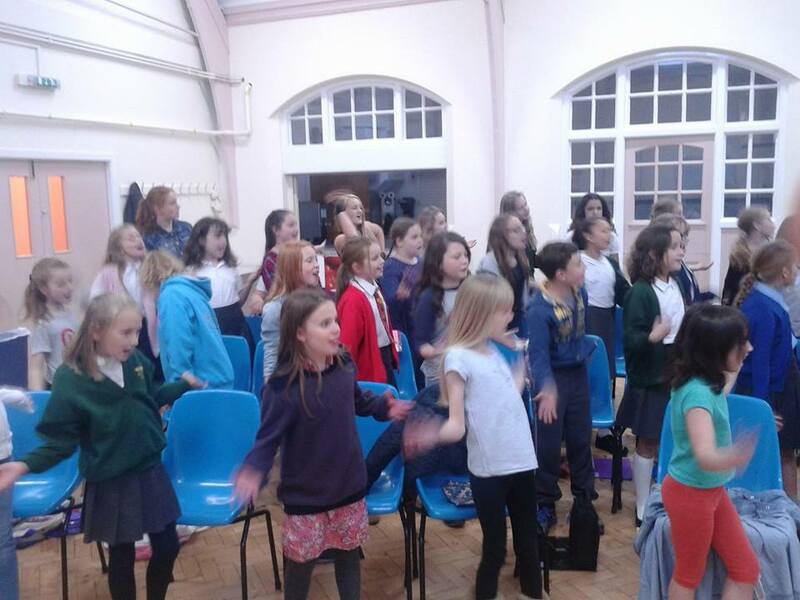 Training Choir: ages 6-9, Four Oaks Methodist Church, Wed 26th April 4pm-5pm. 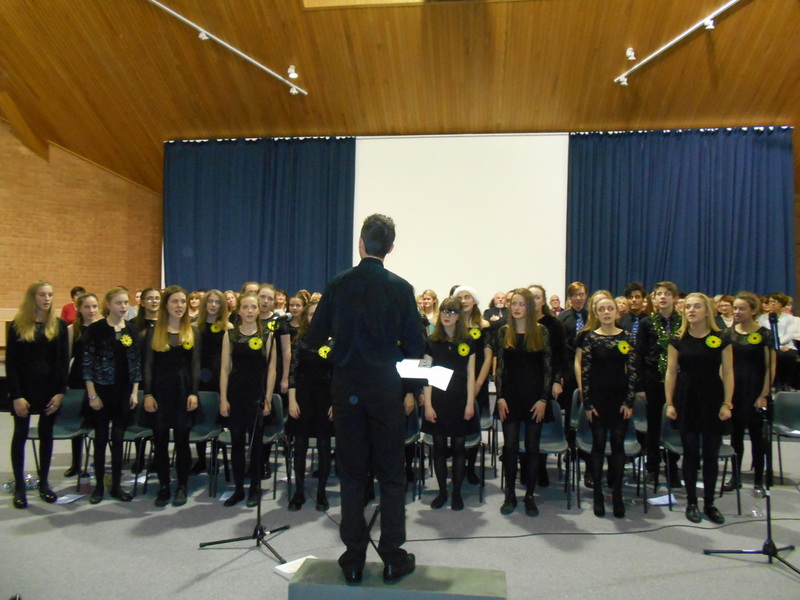 Cluster Choir: ages 9-13, Four Oaks Methodist Church, Wed 26th April 5.15pm-6.45pm. Youth Voices: ages 13-18, Arthur Terry School, Monday 24th April 5pm-6.30pm. 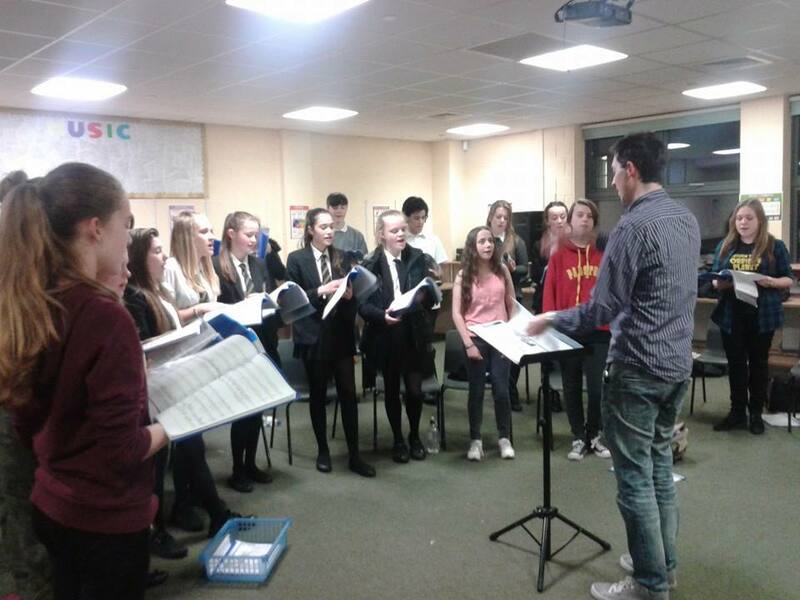 On Saturday 18th March we combined our Cluster Choir with our Youth Voices choir, making 'Cluster Voices'. This was for the regional stage of Music for Youth, where musical groups of all kinds come together across the UK to showcase their work. 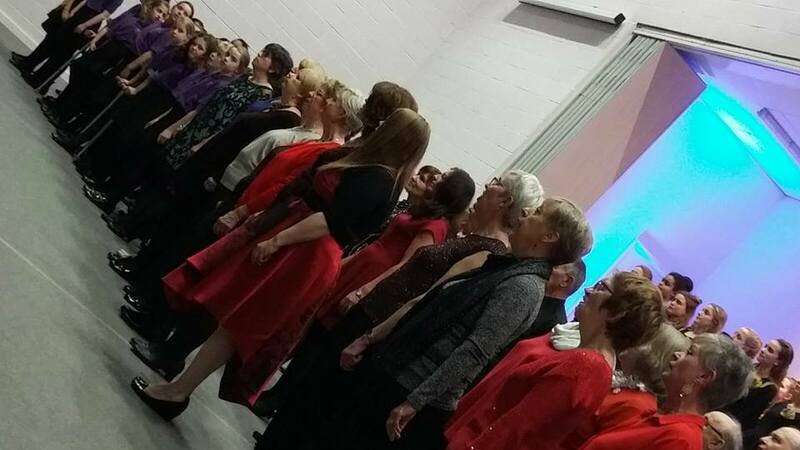 On Sunday 26th February our adult choir, The Accidentals, performed at the Manchester Amateur Choral Competition (MACC). It's always a highlight a we get to show off our work, and we also get to see some other choirs from around the country. Our pieces were Java Jive, By The Waters and complex arrangement of Swing Low. Although we didn't win a prize, we had excellent feedback from the judges. Comments included: lovely clear unisons, and your mighty sound is a pleasure to hear. Good, blended sound. You have an impressive big sound with good dynamic contrasts. Well done for a super and enjoyable performance. We had a great day and look forward to our next visit! January 2017 has arrived already, and term starts right away with rehearsals beginning again from Wednesday 4th! Our spring schedules are uploaded and we're raring to go. We have new pieces to try, but we also plan to keep some going so as to increased our base of pieces. Look out for updates on upcoming events here, including the Manchester Amateur Choral Competition and Music for Youth! What a superb job our Youth Voices did on Friday 16th December, when they performed as special guests with the Midlands Hospital Choir. 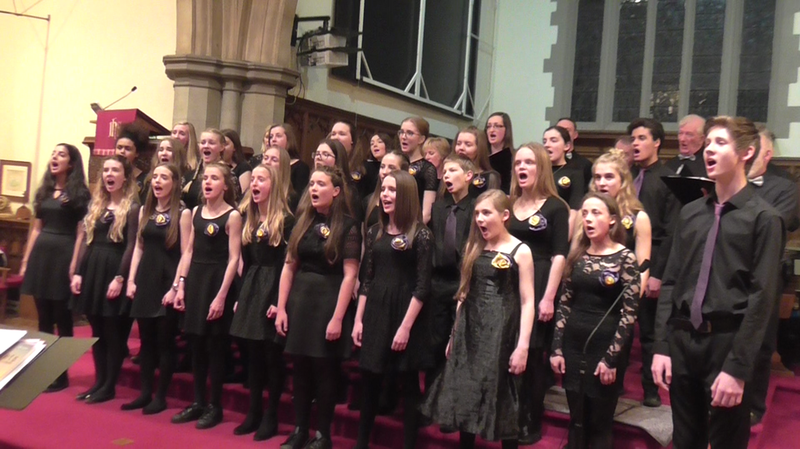 They performed three pieces in each half of the concert, and did us proud with their rich tone and glorious harmonies. It was great to be able to watch the Midlands Hospital Choir, and other guests, perform too! Thanks to everyone who was able to come and watch - and you see videos of some of their performances by visiting our Youtube channel here - along with videos of all our choirs! 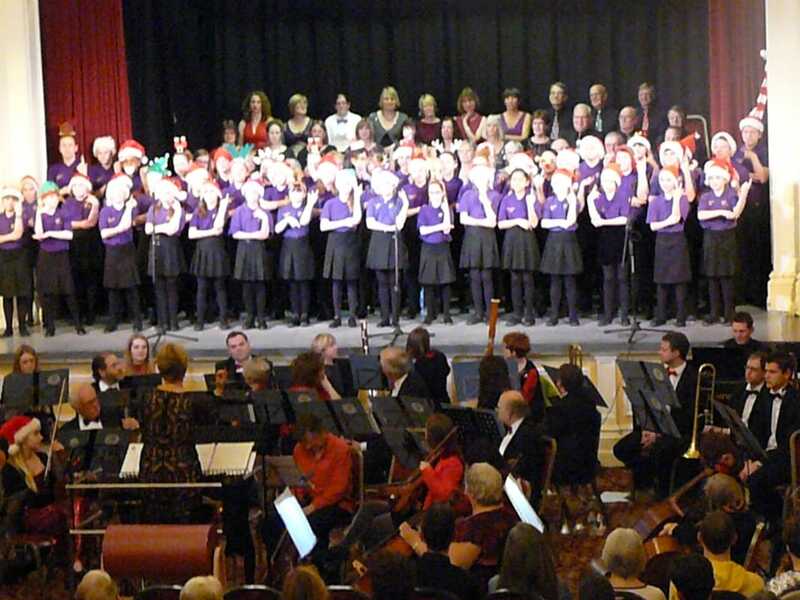 On Sunday 11th December 2016, both the Four Oaks Cluster Choir and The Accidentals took to the stage at Sutton Coldfield's Town Hall for the annual Christmas Concerts, mhoted by the Royal Sutton Coldfield Orchestra. What a fabulous showcase of festive cheer this was, with many pieces being accompanied by the orchestra - and the grand finale of 'Ding Dong Glory Glory' raised the roof again. It wa a long day, with rehearsals followed by two concerts in the afternoon and evening. However, it was wonderful to perform to a full house on both occasions! 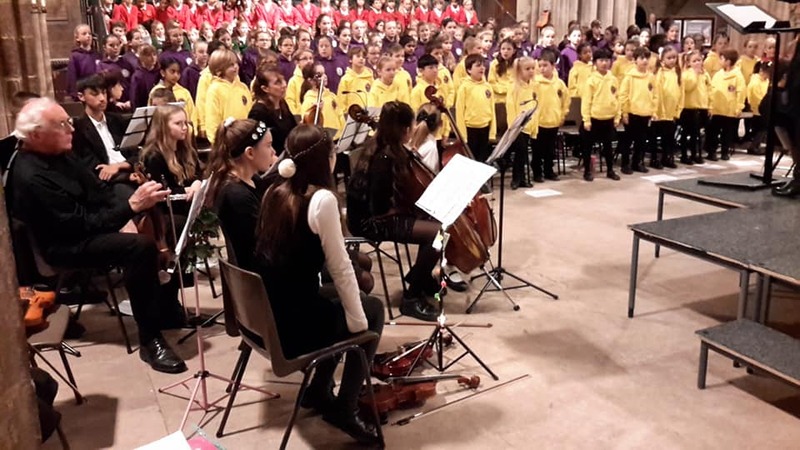 Lichfield Cathedral Carol Service - a kaleidoscope of sound and colour! 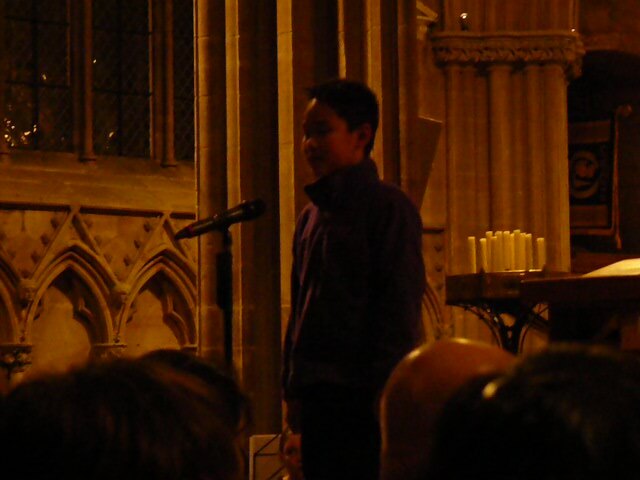 What a superb night we had at Lichfield Cathedral on Wednesday 7th December. 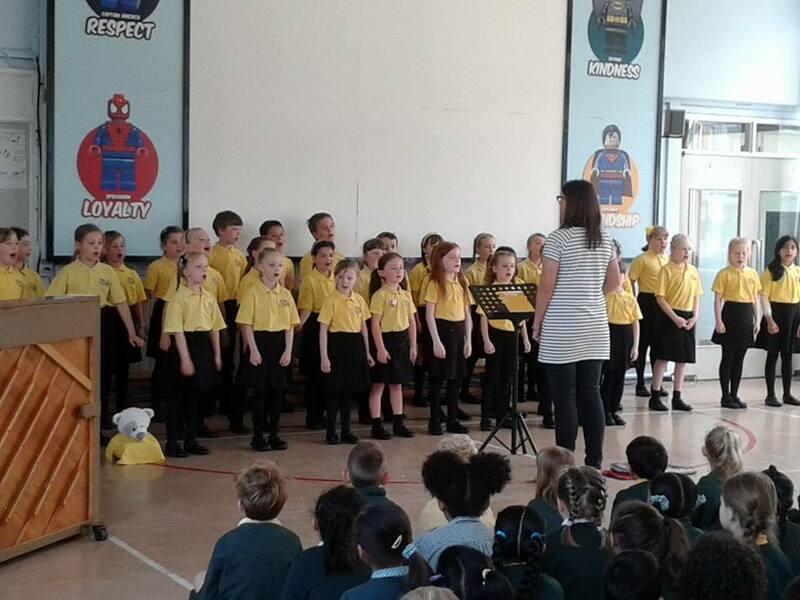 Our Training Choir and Four Oaks Cluster Choir performed superbly, as did the combined school choirs too. 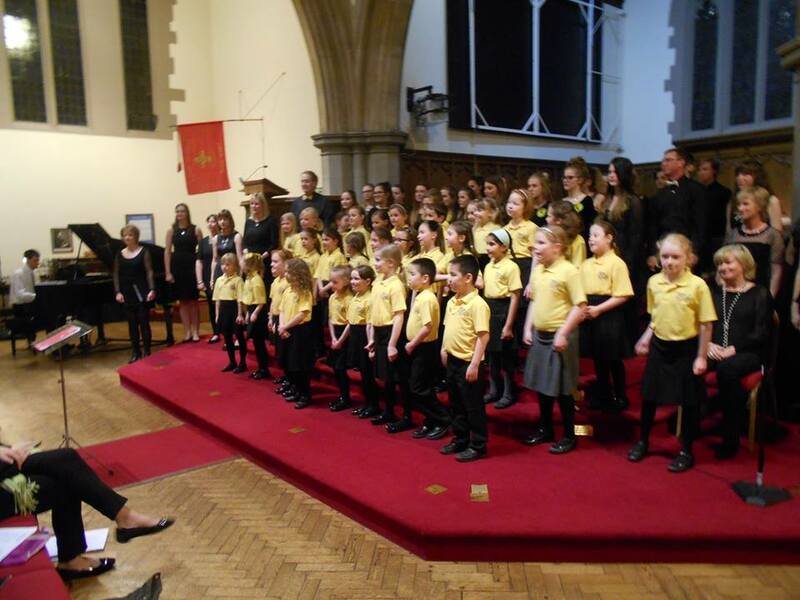 We also had some join items with all the choirs and the Royal Sutton Coldfield Youth Orchestra. It was a PACKED audience, full to the brim. If you were there, thank you for supporting - and HUGE well done to all the youngsters. On Friday 11th November 2016 two of our choirs took part in the annual NSPCC concert, help again at Bishop Vesey's Grammar School. 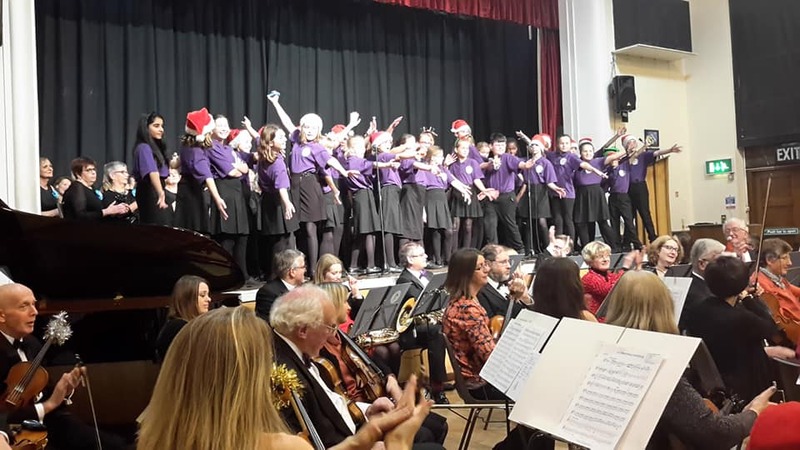 The concert, which also included Hill West Primary School Choir, the Royal Sutton Coldfield Youth Orchestra and soloist Jemima Richardson-Jones, raised over £1000 for the charity through ticket sales, raffles and 'name the teddy'! 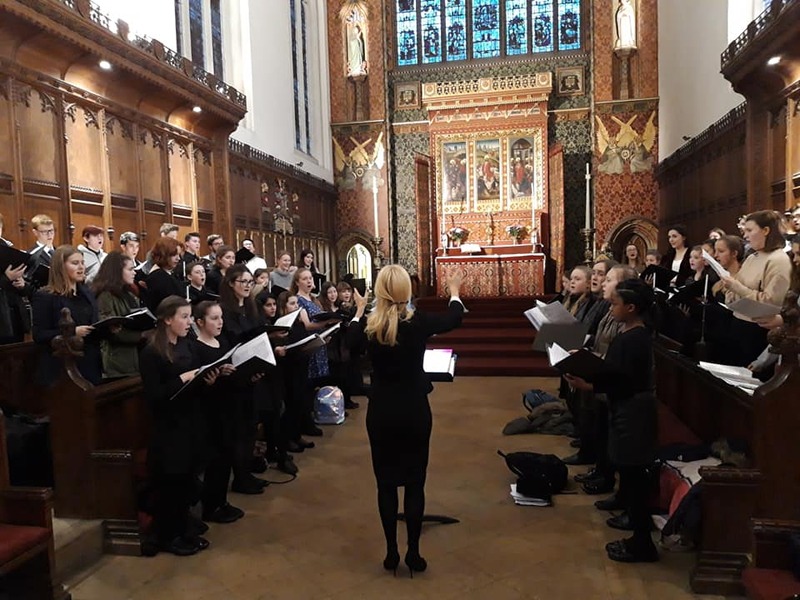 We were very proud of the choirs - they performed brilliantly: the Training Choir were excited about all their pieces, especially those with actions and solos, and the Youth Voices put on a professional performance which included pieces such as The Rose and A Thousand Years. Thank you to all who supported and helped us to raise this fantastic amount for a very worthy cause. 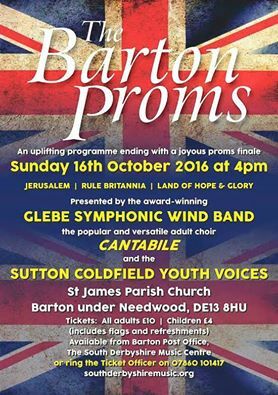 Our first concert of the season was with our Youth Voices, who were invited to take part and perform in the Barton Proms, on Sunday 16th October. We shared the stage with the wonderful Cantabile choir from Derbyshire, and also the glittery Glebe Symphonic Wind Band. What a great concert with a packed audience! We are especially proud of our newcomers, who have had to learn new pieces in just four weeks - but what a great job everyone did. There are more pictures in our Youth Voices gallery! Our next concert will be on Friday 11th November at Bishop Vesey school, featuring our Youth Voices again - and our youngest choir, the Training Choir! We’re excited to be starting a new academic year with the choirs! This year will start slightly differently in that, during the first week (w/c 5th Sept), there will be an induction process for existing and new members. This means that every parent, child and member must attend their session in order to join the choirs for the coming year. This will also give us the opportunity to introduce our staff, to share the exciting plans for the year ahead and for new and existing members/families to mingle and ask questions. Refreshments will be provided! If anyone cannot attend, please do let us know as soon as you can. Due to the growing numbers within our choirs, and the administrative challenges that brings, we will also use this time to ensure that all the admin and payment details are completed on the day. You can pay into the S C Choirs bank account before the start of term, using your/your child’s membership number as the reference (If you are new or are moving choirs, you will be given a (new) membership number.) – Sort Code 608301 A/C 20366326 or pay on induction evening, when we hope to have a card machine available to take payment. Please note that any cheques should be made out to S C Choirs. If you think you will have any difficulty making payments, please talk to one of us or a member of the committee in the strictest of confidence. The Trustees of S C Choirs have agreed to cover the cost of transport by coach to various concerts/events in the coming year out of choir funds. Youth Voices*: Monday 5th September, starting at 5pm. Training Choir: Wednesday 7th September, from 4pm. Cluster Choir: Wednesday 7th September, from 5.15pm. The Accidentals: Wednesday 7th September, from 7.15pm. *Please note Youth Voices rehearsals will be at Arthur Terry School as usual from 12th September. Training Choir: £33 per term, or £90 for the whole year if paid upfront. Cluster Choir, Youth Voices and The Accidentals: £40 per term, or £110 for the whole year when paid upfront. 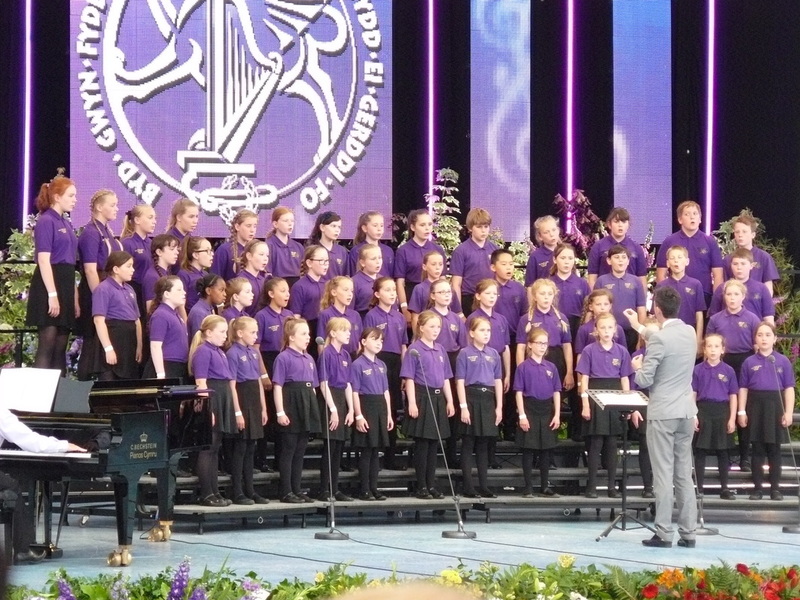 On Wednesday 6th and Thursday 7th July, our Cluster Choir and Youth Voices choirs performed at the International Eisteddfod, Llangollen. There performance was based on a selection process, following our recorded entry last November. In both the Junior and Senior categories, the competition was stiff, and although not 'placed' this time, we are very proud of all our young people who performed on that international stage. In 2013 and 2014 we were placed 3rd - but it's not all about winning a prize, as taking part is prestigious enough. It's also an amazing cosmopolitan experience, with choirs and groups from all over the world descending on the small town. You can view the performances by clicking on Cluster Choir or Youth Voices. Training Choir - on Tour to seven local schools! On Monday 27th June, our lovely Training Choir had a busy day visiting seven local schools - four in the morning and another three after lunch. They treated each school to a short performance, with a view to attracting interest from potential new members this September. We were very proud of the children's behaviour, and their continuous energy which kept them going at each new stop. Excitement was high throughout the day, especially when they spotted friends who were watching. Thank you to Four Oaks Primary who hosted us for lunch - thankfully the weather stayed dry, which meant we had a picnic in their lovely grounds! 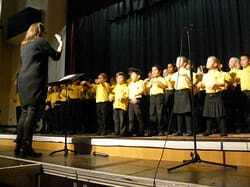 Training Choir is open to pupils in years 2, 3 and 4. Please keep spreading the word! What a fantastic night we had on Saturday 18th June! 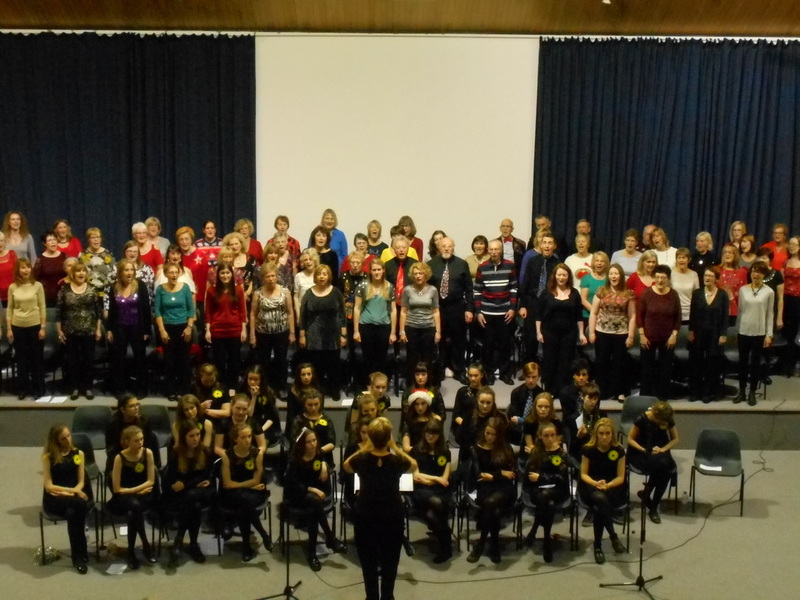 This was a 'showcase' concert for three of our choirs, at Birmingham's Adrain Boult Hall. Part of the Conservatoire, this hall will be demolished in July so it was a sad occasion in many respects. However, we filled the hall with people and wonderful music - with everything from musicals such as The Wizard Of Oz and Les Miserables, popular numbers such as 'Walking On Sunshine' and 'A Thousand Years', to choral classics like 'Chorus Of The Hebrew Slaves' by Verdi and 'The Seal Lullaby' by the ever-popular Eric Whitacre. We were even treated to Climb Every Mountain with our choirs' vocal coach, Helen Williams! Well done each and every performer and band member - it was a night to remember! Our annual 'Showcase Concert' - Saturday 18th June. We'll raise the roof! Saturday 18th June will be a special day for two main reasons: firstly, it's our annual showcase concert; secondly, it will be the last ever time we get to perform at the Adrian Boult Hall! Birmingham Conservatoire is relocating, and the hall will be pulled down shortly after we have performed there. From 2017 we will be searching for a new venue for these annual concerts! Tickets for this very special event are on sale now, at rehearsals or via the contacts shown in the poster (left). You can expect this event to give you a host of memorable tunes and and lively spring in your step - and as always, we have a wonderful accompanying orchestra for many of the items. Our annual showcase concert has always been a sellout, and we hope this year will prove to be no exception - especially as it will be our last ever time in this location. Please tell all your friends and get ordering tickets - this is a night of music not to be missed at all! If you haven't been before, our youtube channel has clips from last year's show. Just click here. 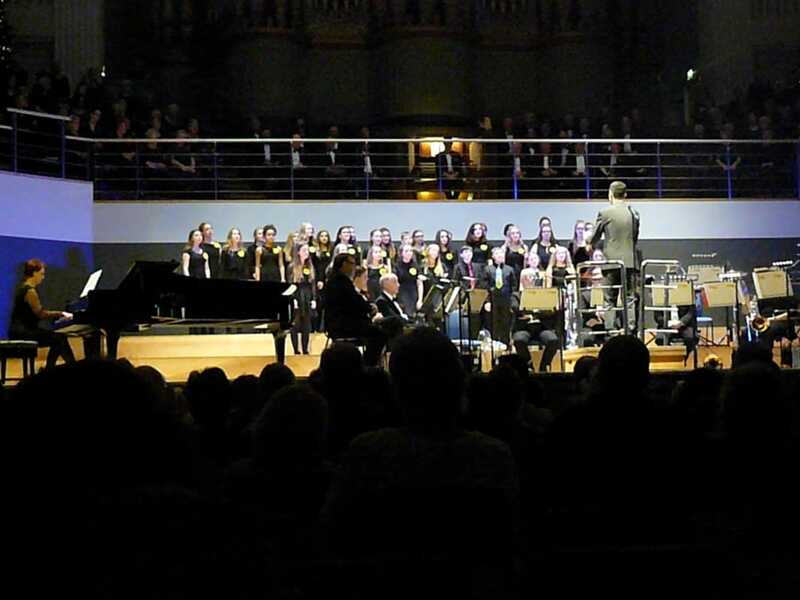 What a fabulous night we had at the Birmingham Town Hall! 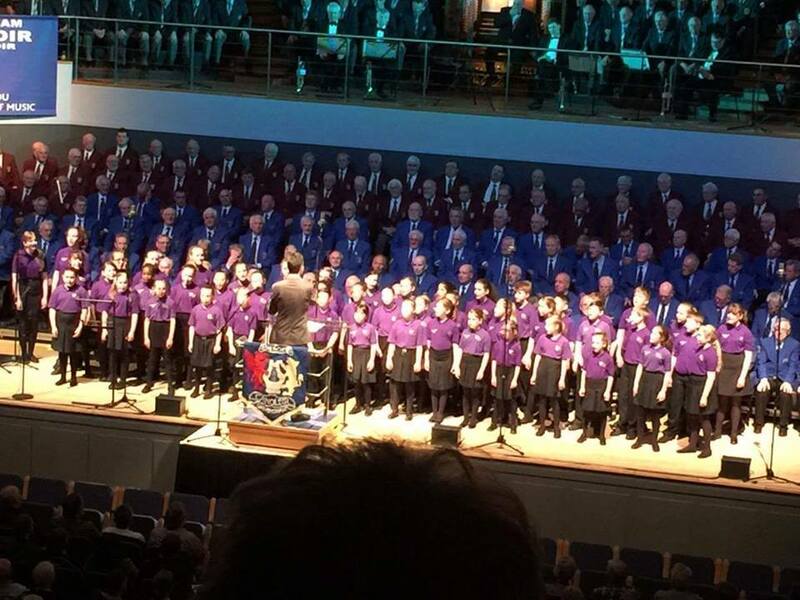 The Four Oaks Cluster Choir were guests at the 50th anniversary concert of the Birmingham Canolidir Male Choir, along with other guest soloists and welsh choirs. The children put on a sparkling performance in each half, with music ranging from Caccinni's 'Ave Maria' to Cy Coleman's Rhythm Of Life, from 'Sweet Charity'. Their rendition of 'If I Only Had A Brain' was lively - so lively, that their actions nearly caused one of the male singers to fall off their chair! It was a long night - the children were very patient but were thoroughly entertained by a host of wonderful performances from the massed male choirs, Jody Smith violinist and Soprano Mena Davies. 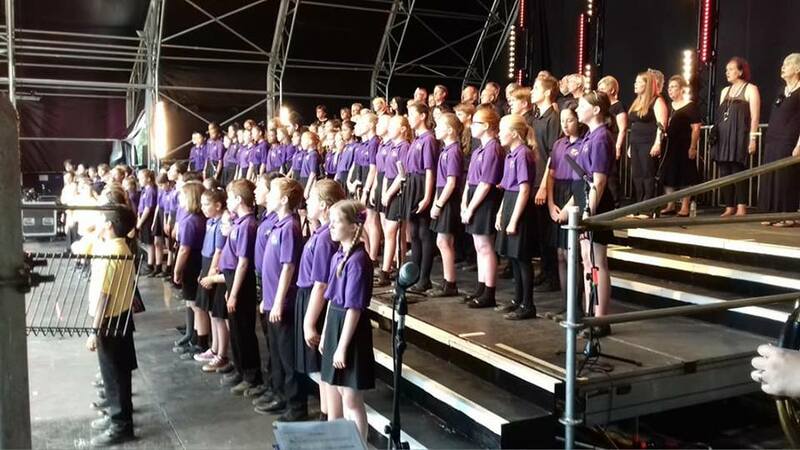 It was a superb opportunity to showcase our main children's choir , who recently got through to the national Selection round of Choir Of The Year, and this coming July perform at the International Eisteddfod, Llangollen. The hall was packed, and the applause was brilliant! 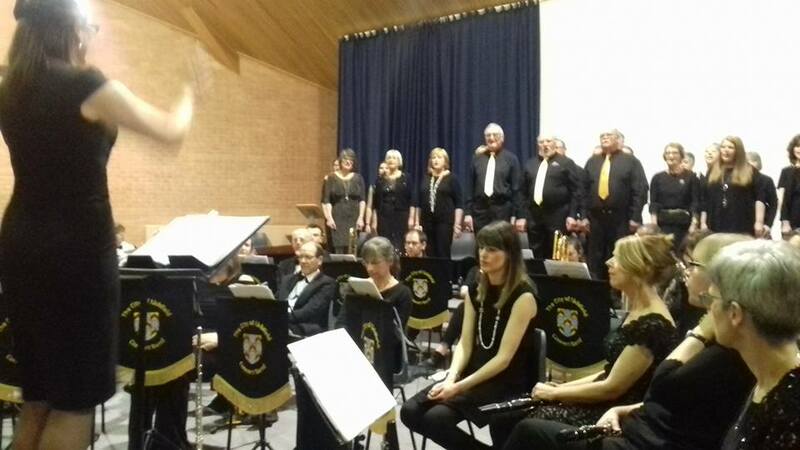 On Saturday 16th April, our adult choir The Accidentals performed in a concert with the Lichfield Concert band. This was a very successful evening, with a host of contracting pieces at Tamworth's Coton Centre - a venue that is becoming more familiar with us. The Concert Band provided some sparkling sounds, and the choir complimented this with its dulcet tones, performing pieces such as Night And Day, Java Jive and Amazing Grace. 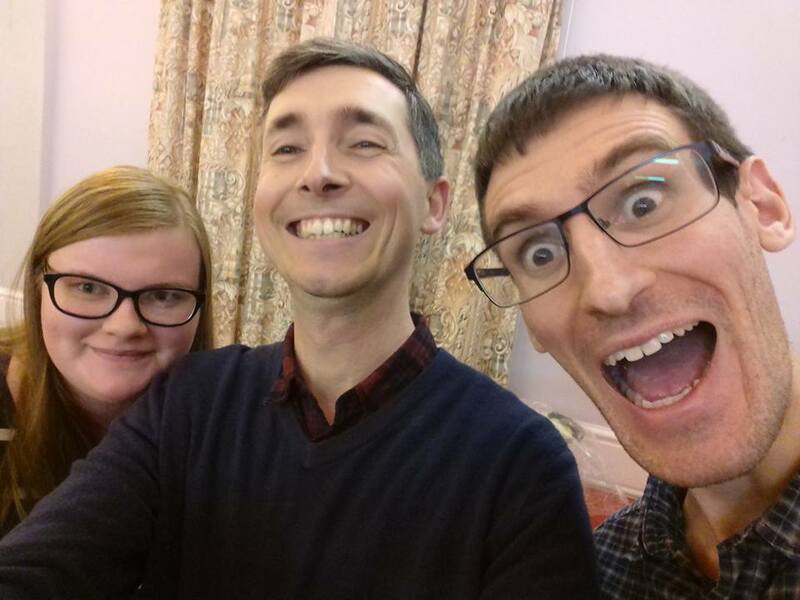 It was very enjoyable evening, and The Accidentals are certainly keen to share the stage with the Lichfield group again in the future - we're certainly hoping that we will have more opportunity to perform together again. Watch this space! £1059 raised for Macmillan Cancer Support in charity concert! 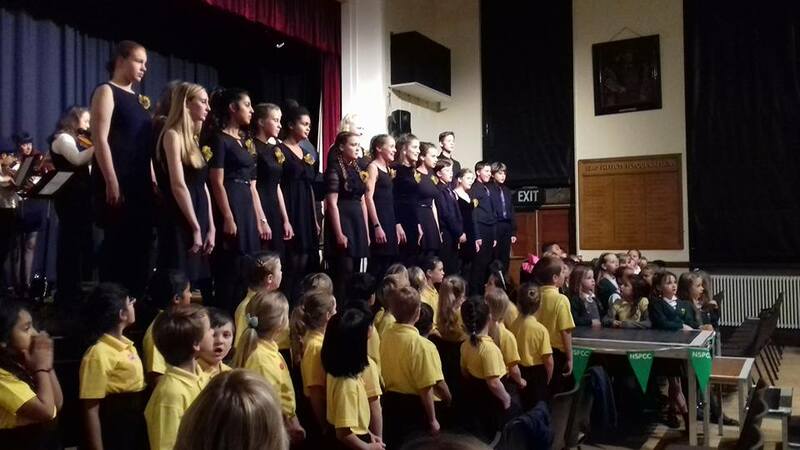 On Tuesday 22nd March, our youngest choir, the Four Oaks Cluster Training Choir, and our teenage choir, Youth Voices, were guests at a charity concert held by local adult choir B Natural. The event took place at Four Oaks Methodist Church, and the church was jam packed with audience and singers. It was a superb event, with such a wide variety of ages and repertoire, all with one aim in common - to raise money for Macmillan Cancer Support. An astonishing £1059 was raised through ticket money and donations - thank you to all who took part and supported us. What a great way to end the spring term! Choir Of The Year auditions - March 2016. 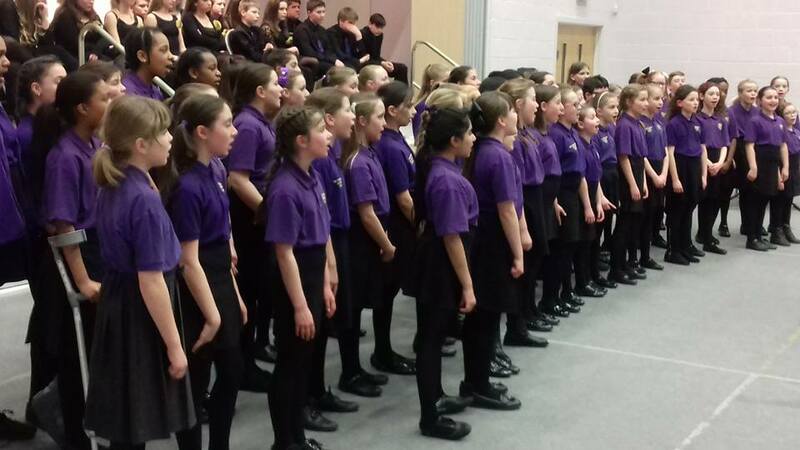 Four Oaks Cluster Choir through to National Selection! A great day was had on Saturday 19th march, when we took the Four Oaks Cluster Choir (our main children's choir) and The Accidentals (our adult choir) to Warwick Arts Centre. 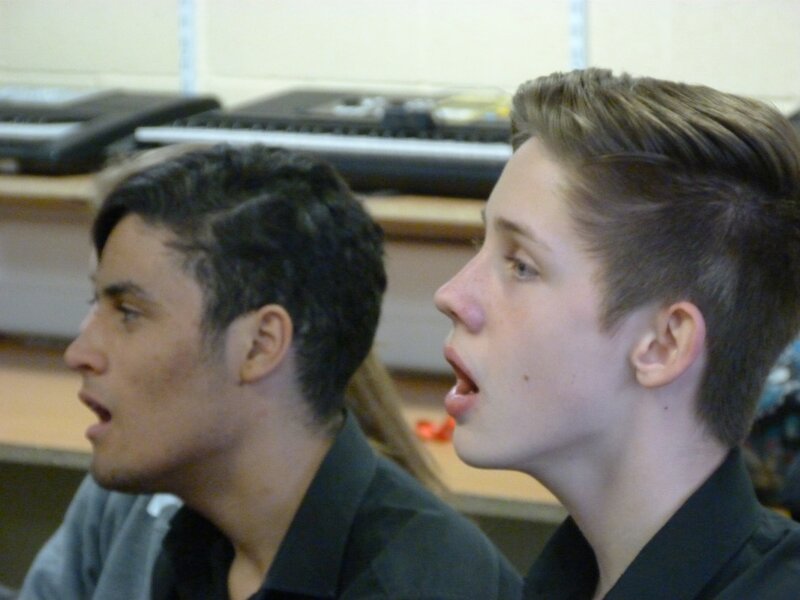 This was to perform in the regional heats of the national Choir Of the Year competition. The Accidentals were up first, and produced a fabulous performance - singing Mozart's Dona Nobis pacem, and arrangements of By The Waters and Java Jive. It's never easy going first! The Four Oaks Cluster Choir performed a little later in the morning_, with two contrasting pieces: If I Only Had A Brain fro the Wizard of Oz, and Caccini's Ave Maria. Videos of their performances can be seen on our Youtube Channel, as well as on the 'hear us sing' pages on this website. 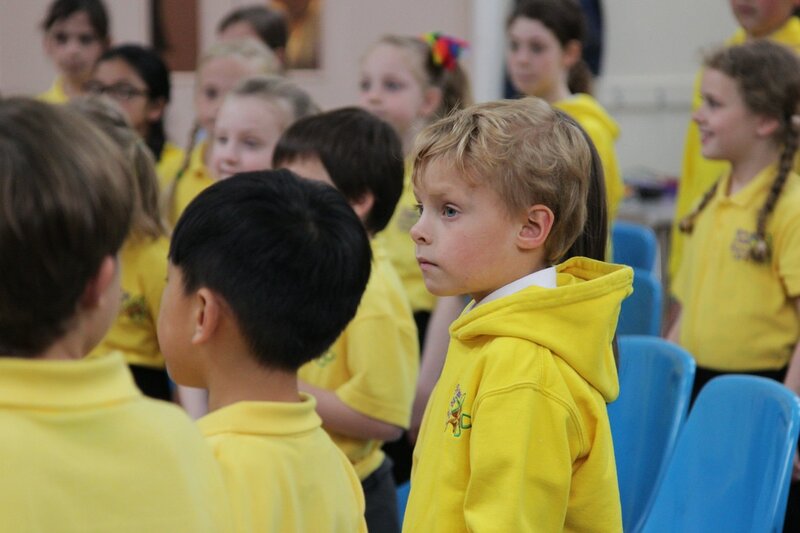 It's always tense waiting for the outcome, and there was stiff competition, but the Four Oaks Cluster Choir are through to the National Selection round. This means they are in with a chance of being selected for the Category Finals in October. Congratulations to each and every one of them! The Accidentals didn't get through, but we were extremely proud of their performance - they did a superb job and we are very proud of them. Sunday 13th March was a fabulous day (if rather long!). We spent it at the Royal Northern College of Music with two choirs, as part of a national choral competition. Our main children's choir, the Four Oaks Cluster Choir, won in 2015 - beating stiff competition from many older choirs (the competition is for 18s and under). It was a delight to take them back this year - not to compete, but to perform in a 20 minute slot as the 'reigning champions'. 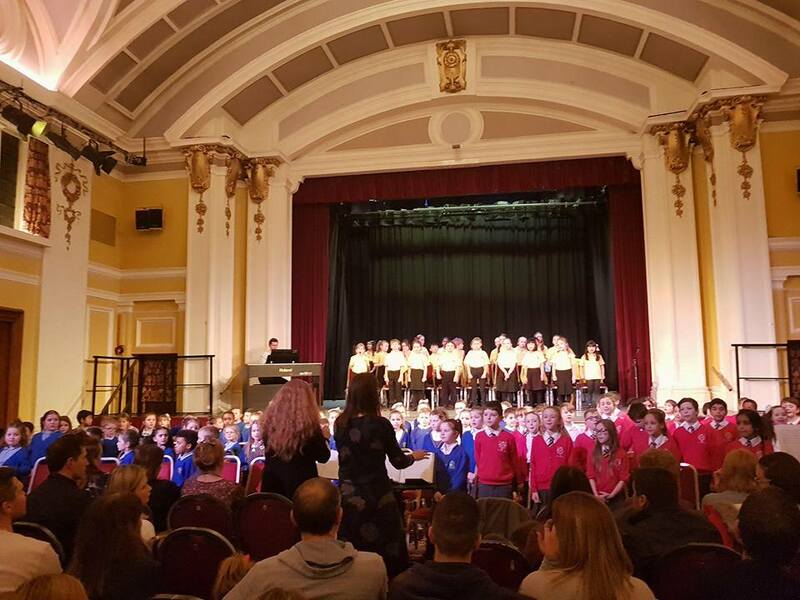 The auditorium was packed with all the other choirs that had competed during the day, and the children performed exceptionally well. We also took our Youth Voices choir, who were indeed competing. They performed four pieces: Deep Down In My Soul, Hope, A Thousand Years and Amazing Grace - all very contrasting. Although we didn't bring back the winning trophy, we had some really excellent feedback with a very positive response from the judges, commenting on huge improvement from 2015 for this group. We are very proud of all our young people, not only for performing so well, but also for their excellent behaviour on what turned out to be a very long day. Thanks to Chris for his accompaniments on the piano, and also to all the chaperones who helped throughout the day. On Wednesday 20th January, from 4pm-5pm, we are holding an 'open rehearsal' for our Training Choir. This is to encourage friends of current members (or any other youngsters) to come and see what we get up to in our rehearsals - and to observe how much fun we have! No need to contact us - just turn up to Four Oaks Methodist Church and come and see our lovely Training Choir for yourselves. It's open to anyone who is currently in year 2, 3 or 4 9ages 6-9). There will be no charge for this open rehearsal, but anyone who wants to join should look at our membership pages for Training Choir to find out how to be part of our wonderful organisation. Fabulous concerts to end 2015! 2015 has was an exciting year for SCC, for so many reasons - not least for becoming a registered charity! 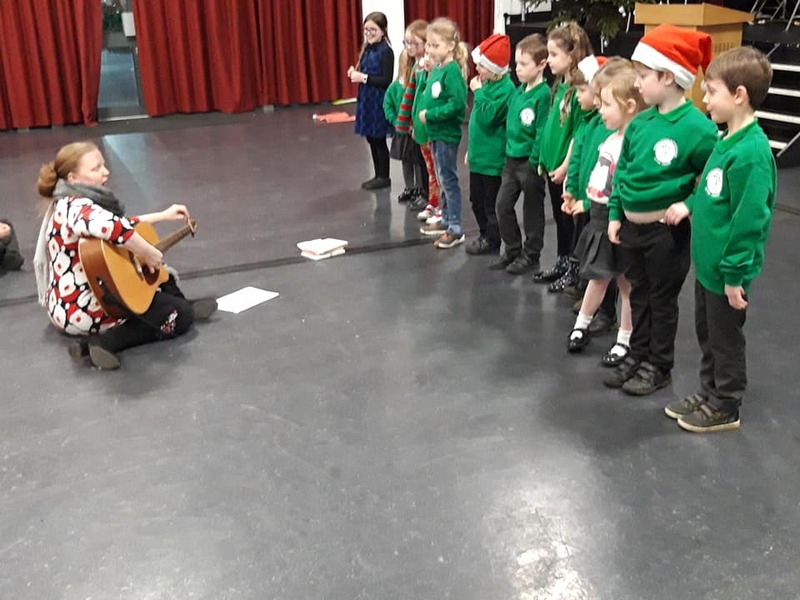 Music is our passion, and our Christmas performances were nothing short of fantastic - after several weeks of rehearsing, we really got into the festive spirit as the pictures above highlight. The opening festive concert featured our Training Choir and Cluster Choir at Lichfield Cathedral - always a lovely event, and this one always starts of the Christmas season for us. It also involved all the school choir, the Royal Sutton Coldfield Youth Orchestra and the Staffordshire Band. In the second week of December, our Youth Voices choir and The Accidentals performed at a brand new venue (to us at least! ), the Coton Centre in Tamworth. This was a lovely evening, in memory of the late Len Brock, who was such a committed member of The Accidentals. We miss him very much, and so we dedicated this concert to him. We also had a collection for the Marie Curie Cancer Trust. It was great to perform some items together! On Thursday 17th December, The Accidentals took the opportunity to perform in Gracechurch Centre in Sutton Coldfield. This was a late-night Christmas Shopping night, so had a very festive feel. We also continued to collect for the Marie Curie charity, and we're grateful to all our supporters and those who donated. 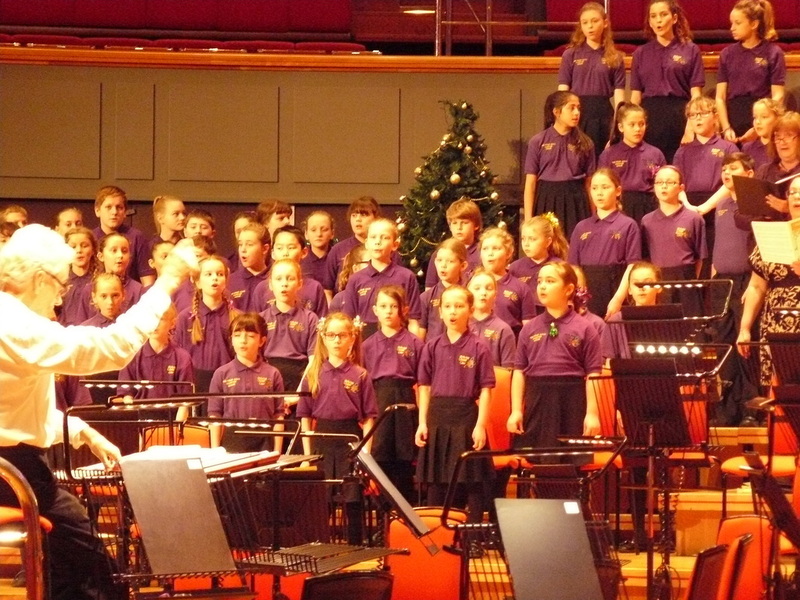 Christmas Eve was the climax of all our Christmas performances, when the Cluster Choir performed by special invite at Symphony Hall, as part of 'Christmas Eve Classics'. This was a long day of rehearsing and performing, but has to be one of the highlights of 2015. With Birmingham Choral Union and the London Concert Orchestra it was a very special occasion, and one we shall remember for some time to come. The Cluster Choir were also selected for airplay on Classic FM just before Christmas - again, something that we were very proud of. You can see and hear all the chosen choirs here. 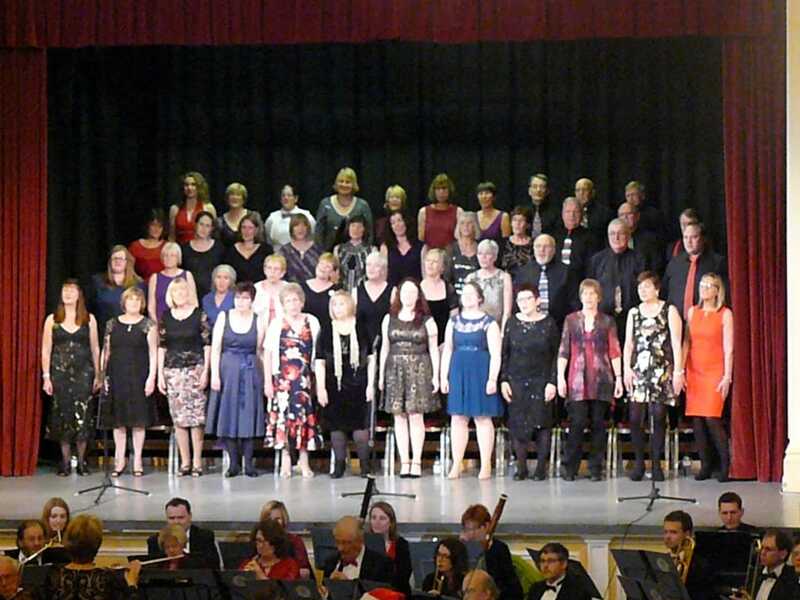 Pictures of all our performances ca be found on our Gallery pages, listed under each choir at the top of this website. Enjoy! Four Oaks Cluster Choir to be played on Classic FM! Congratulations for the Four Oaks Cluster Choir, who have been selected for airplay on Classic FM this Christmas season. Each year we make a CD of repertoire, and in 2014 we recorded a Christmas CD featuring all our choirs. Their recording of 'Colours Of Christmas' by John Rutter will be played on Friday 11th December between 6pm and 6.30pm. Four other luck groups have been chosen for each of the other weekdays in the same week. Classic FM are always keen to promote music making with young people, and this competition was set up in conjunction with 'Making Music', which SCC is a member of. Please tune in and listen - it's been a fabulous year with ALL our choirs, and what a way to end 2015! ONLY MEN ALOUD agree to become Patrons of SCC! We are VERY excited and proud to announce that Only Men Aloud have agreed to become Patrons of Sutton Coldfield Choirs! This will be as well as Suzi Digby, who has been our Patron for the past year or so already. OMA won the BBC's 'Last Choir Standing' (with Suzi as head judge! ), and have since won top awards at the Classical Brits. 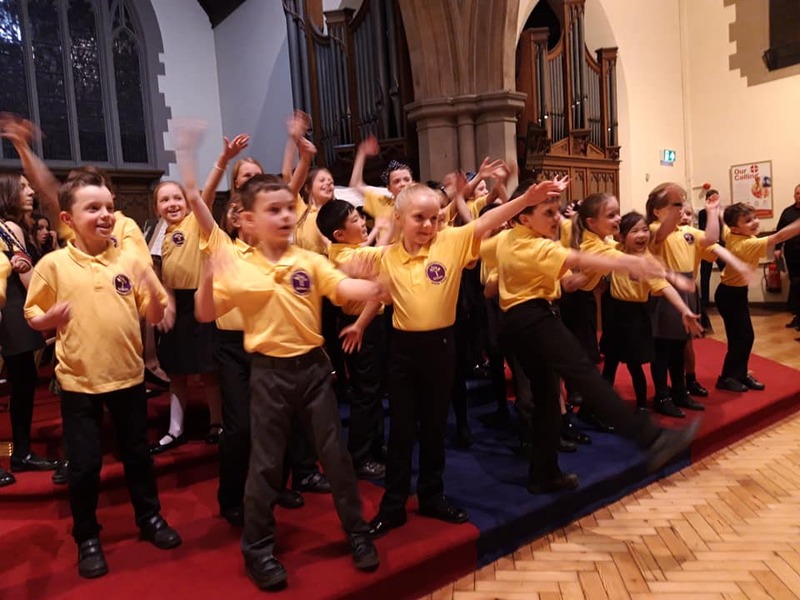 Members of OMA also run 'The Aloud Charity', which is developing opportunities for Welsh youngsters in Only Boys Aloud and Only Kids Aloud to discover the joys and benefits of choral singing. We are thrilled about this partnership and we hope that by working together we can raise the profile of choral singing for all ages, and particularly attract more boys and men to our choirs! Liz, Helen & Richard (our MDs), and Gillian (SING Chair) thoroughly enjoyed meeting Craig Yates, an original member of OMA, last month. We'd like to thank him, and the group as a whole, for supporting us in all we do! Autumn rehearsals getting off to a fine start! 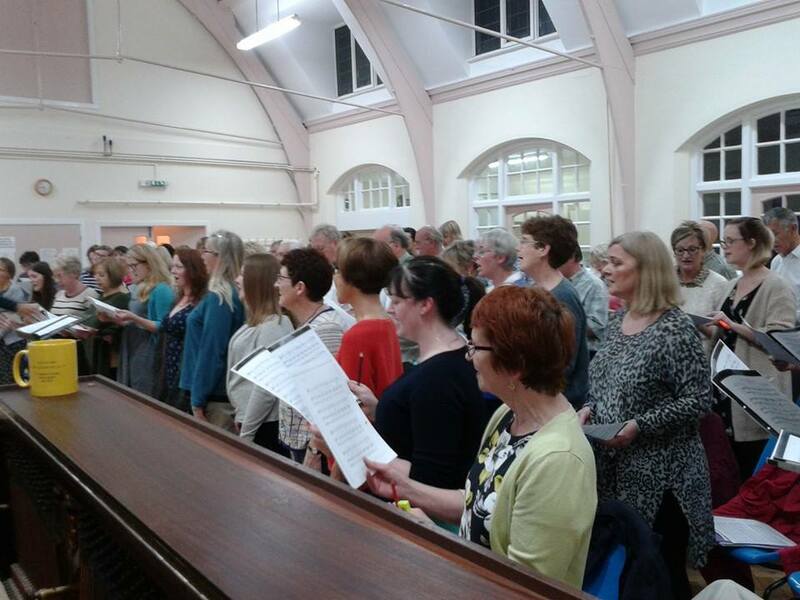 Autumn Term 2015 has got off to a great start, with all four choirs sounding fresh and vibrant, with new members and also new repertoire! Our Training Choir are loving learning pieces such as 'The Crocodile' (far left pic above) - they are even adding their own movement. Their three-part harmony is coming on a treat. 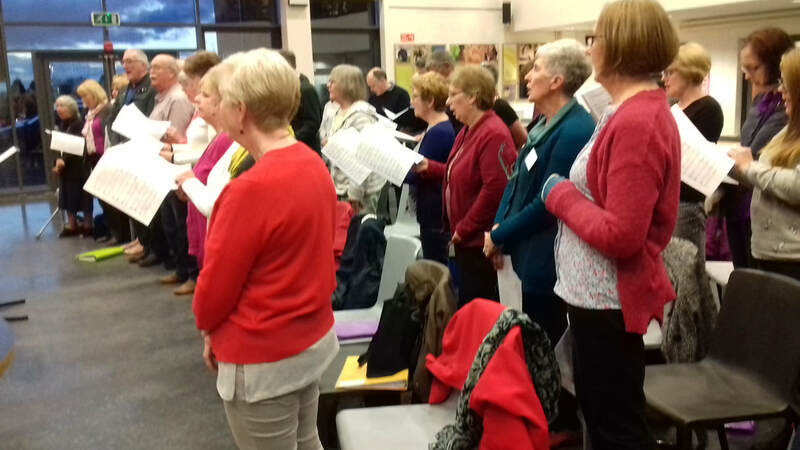 Cluster Choir are benefiting from new membership moving up from the Training Choir - as many as 25 have come through this year. we also have many of the older members who have returned, which helps keep a mature tone to the sound. They are learning the award-winning arrangement of 'If I Only Had A Brain' (second pic from left above), as well as the beautifully lyrical 'Ally bally Bee', Their sound is impressive. Youth Voices have new members too, and their repertoire includes an arrangement of 'A Thousand Years', and also 'On My own' from Les Miserables. It's so lovely to have numerous offers to perform solos in these pieces. Their lively rehearsals take place at Arthur terry School (third pic from right) - and they have been making a great sound....not just the talking, either! 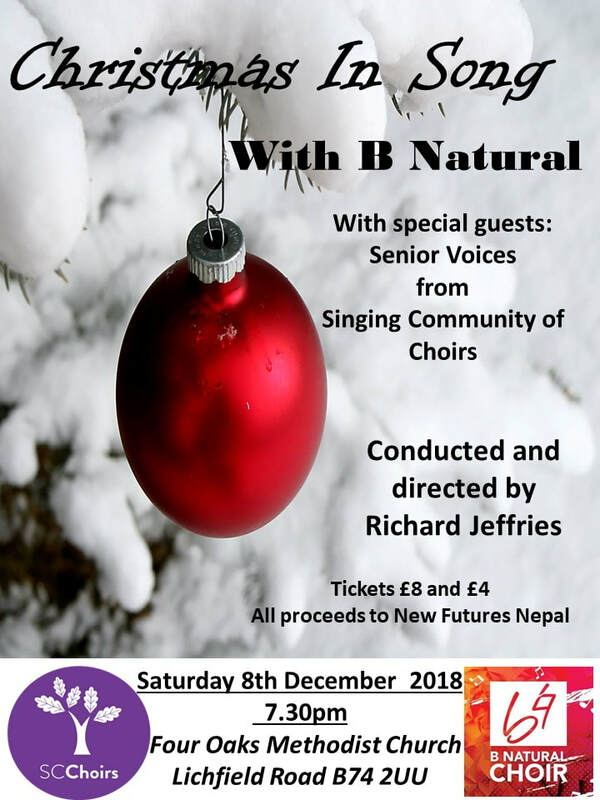 Lastly, The Accidentals have worked hard on some new repertoire such as Amazing Grace, Noel Fantasy and Baby Born In Bethlehem, as well as old favourites like Zadok The Priest and Hallelujah Chorus - these latter two will be performed at Cor Choir next May, at the Millennium Stadium. New members are settling in nicely! Welcome.... to our BRAND NEW website! 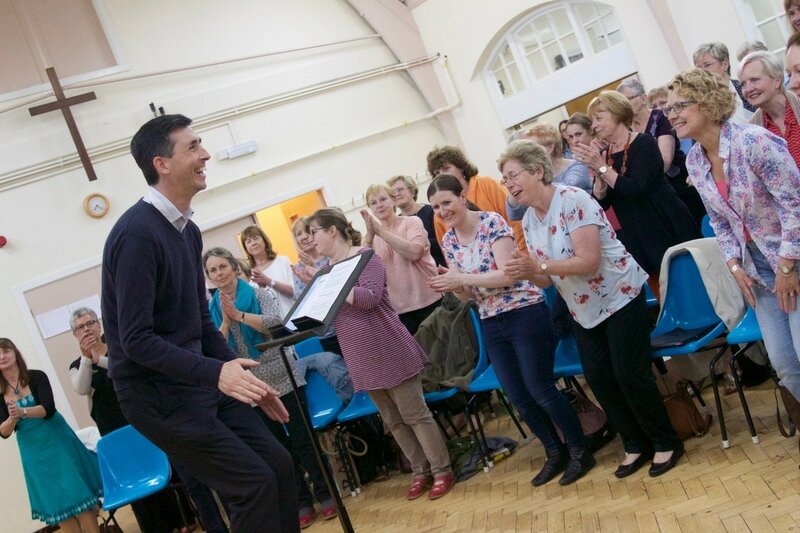 Welcome to our brand new Sutton Coldfield Choirs website - information about all our choirs in one place! You'll still be able to find out about all your choir events, rehearsals, pictures, membership details - plus lots more new pages. These include: testimonials, interesting facts about about our people, a policy download page and an interactive blog page. Please get involved by posting comments! Just a reminder that our SCC AGM takes place on Wed 23rd Sept at Four Oaks Methodist Church at 715pm, for members/parents of all four choirs. Following an exciting & successful year, we are looking for nominations for trustees with enthusiasm, secretarial and web/data skills, who are committed to undertake planning & fundraising activities. These could be inside/outside of termly formal meetings, depending on skills. Please contact Tina (Chair) on 07899 632748 or suttoncoldfieldchoirscommittee@gmail.com to find out more. Nominations to this email address required by Sun 20th Sept, with a short paragraph outlining why you would like members to vote for you. 4. Nominations & elections: trustees and committee members. 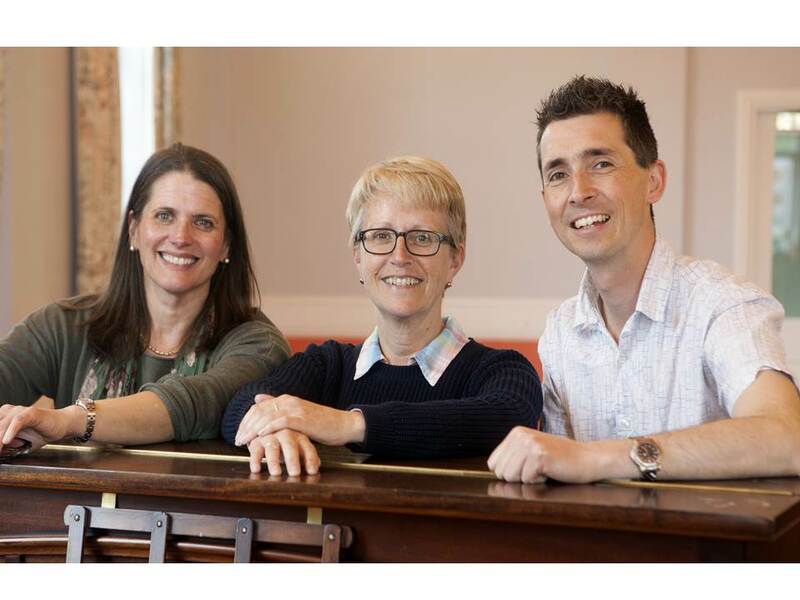 Our team of musical directors Helen Willetts, Liz Birch and Richard Jeffries (pictured right) are looking forward to welcoming back members to rehearsals from the week beginning 7th September, after the summer break. 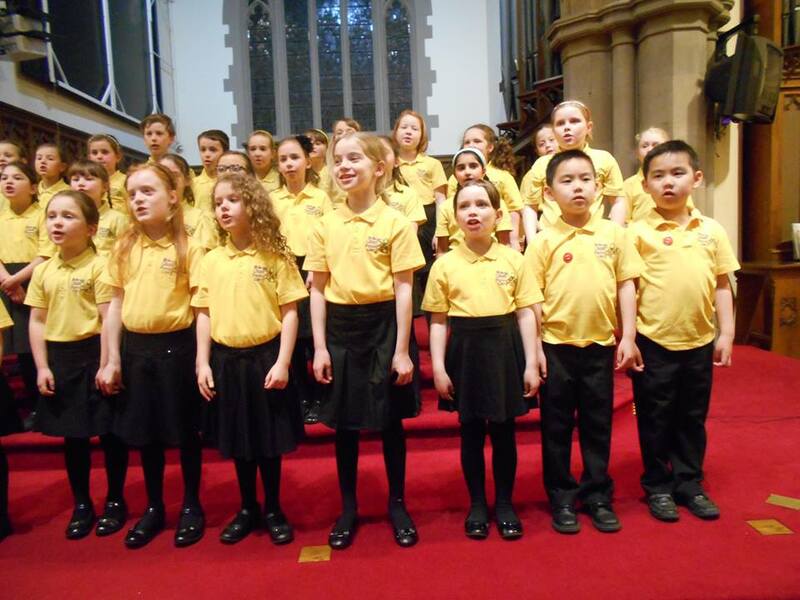 We also welcome a host of new members, especially in our younger choirs. We have new repertoire to teach, and many exciting events and concerts planned for the year ahead. We'd like our members to use this site regularly - and on each of the choir pages there are links to song words and/or music audio tracks. Please use these to print off and to familiarise yourself with the new pieces. We kick off on Monday with Youth Voices, and then on Wednesdays we welcome Training Choir, followed by the Cluster Choir and The Accidentals. Here's to a year of great music-making! 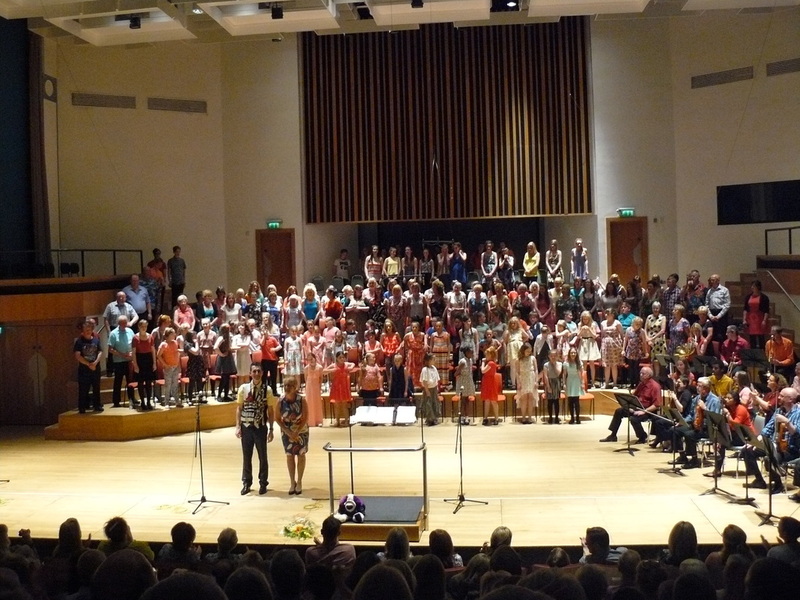 On Saturday 18th July, three of our choirs performed their annual showcase concert at Birmingham's Adrian Boult Hall. This was another sell-out event and one which held many memories. It was also sad, as it's the last time our annual concert will be held at this venue. Suzi Digby led a warm-up with everyone and then rehearsed Pie Jesu - a piece she guest conducted in the concert itself. It was a very busy afternoon, with all choirs timetabled to rehearse joint items with the MDs and orchestra, as well as their own choir pieces. On top of this, all choirs (including our Training Choir) took part in top class workshops with Suzi. The concert was a wonderful celebration of the year's achievements, which included a WIN at the MACC for our Cluster Choir, and a specially invited performance by our Youth Voices at the LG Arena with Andrea Bocelli in front of 16,000 people. It was also a celebration of ten years since the origins of our choirs family, as well as the fact that we have now become a charity. Music was varied, and in some cases lively - even involving umbrellas in The Accidentals at one point! We were also treated to a solo performance by one of our MDs, Helen Willetts. Well done to everyone in the choirs for their hard work and commitment, our resident band, our fabulous accompanists and the team that make these events happen. 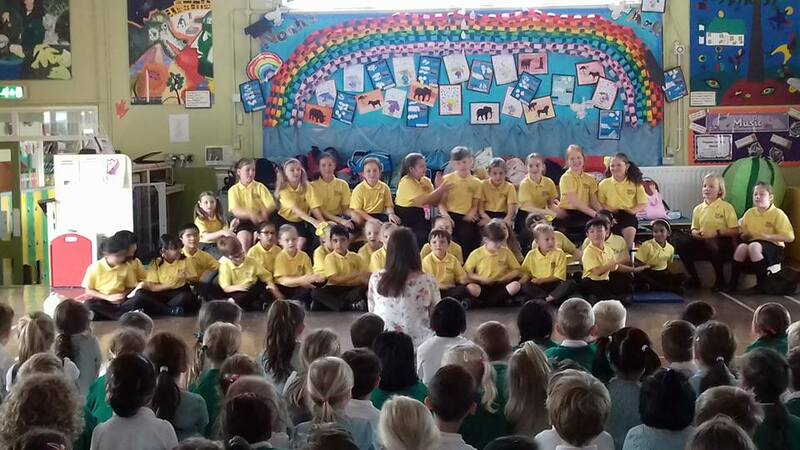 The Four Oaks Cluster Choir are busy preparing for their competitions at this year's International Musical Eisteddfod, Llangollen. 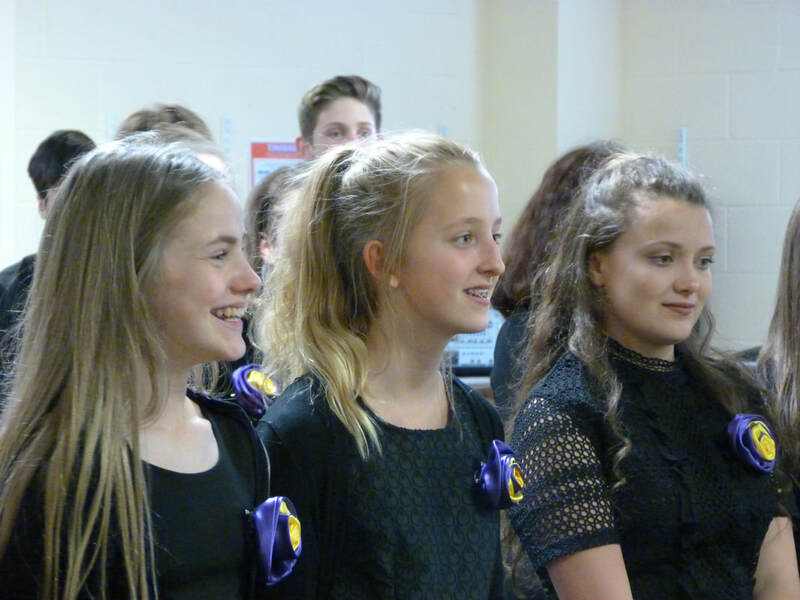 They will be competing in the the Junior Choir and Folk Choirs categories - but this year is extra special, as they have also been specially invited to perform in the Opening Ceremony evening concert on Tuesday 7th July. We're hoping for lots of success this year, especially following this choir's WIN at the Manchester Amateur Choral Competition in February this year. Find out more about the Llangollen International Eisteddfod here, and come and support us if you can! 10th Anniversary of the Four Oaks Cluster Choir - where it all began! Saturday 25th April 2015 was a very special day for us. We celebrated 10 years since the formation of the Four Oaks Cluster Choir. 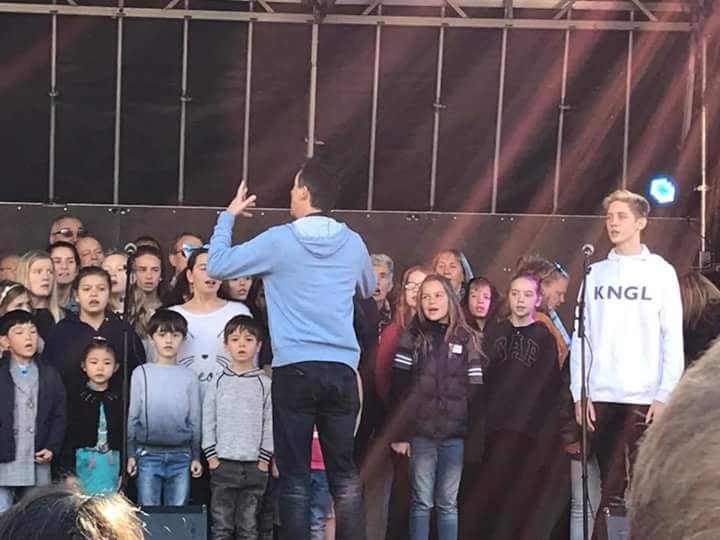 This choir, that began in 2005, was the seed from which all of our other choirs have grown - from a meager 19 members during the first term, to over 250 across all our age groups today. 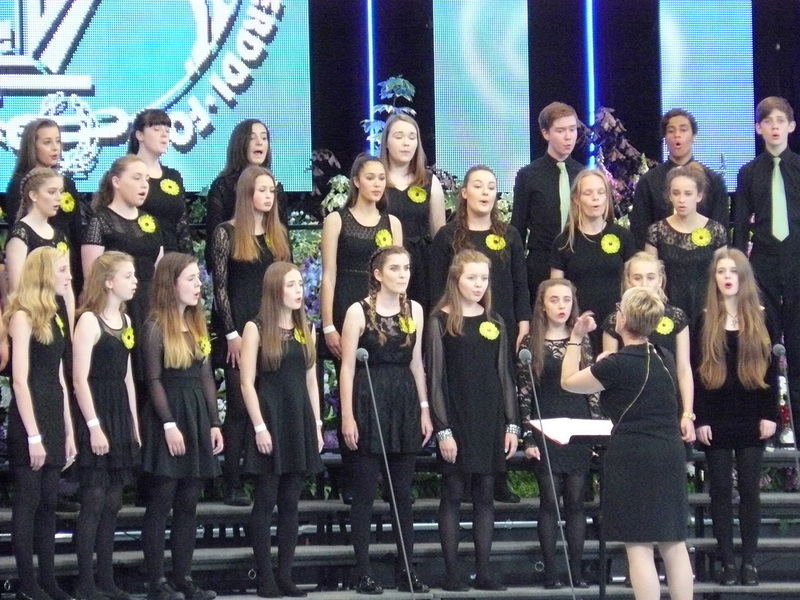 The Cluster Choir itself has also gone on from strength to strength in recent years, achieving 3rd place at the LLangollen International Eisteddfod twice, reaching the Category Finals of Choir Of The Year, and WINNING the Manchester Amateur Choral Competition this year - against much older choirs! The celebrations included a party for the choir in the afternoon, followed by a showcase celebration concert in the evening. The concert also features our Youth Voices choir, many of whom where members of the Cluster Choir themselves. There were also solo and duet performances from past members - along with fond memories of years gone by. Thank you to ALL who helped made our celebrations a happy one! Read more here in the Sutton Coldfield Observer.